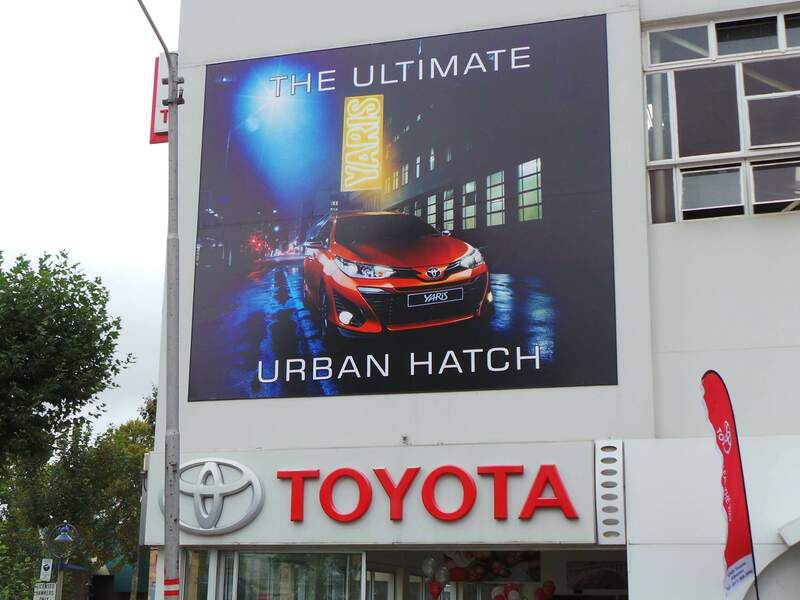 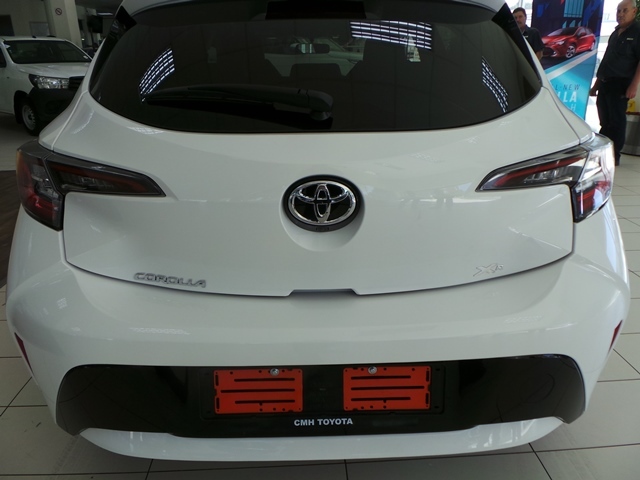 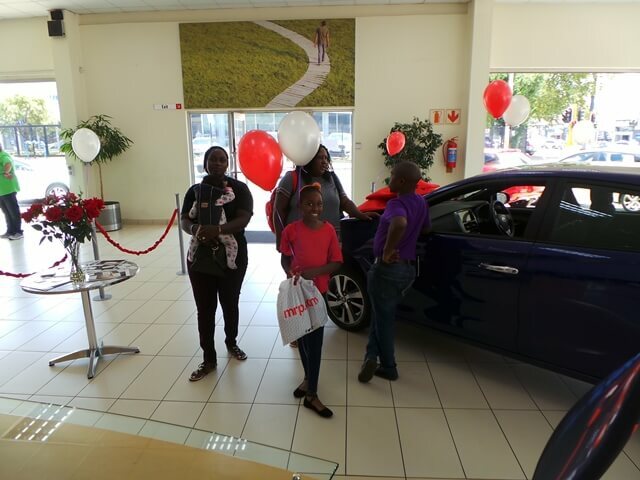 On the 28th of February 2019 CMH Toyota Alberton launched the all new Toyota Corolla Hatch. 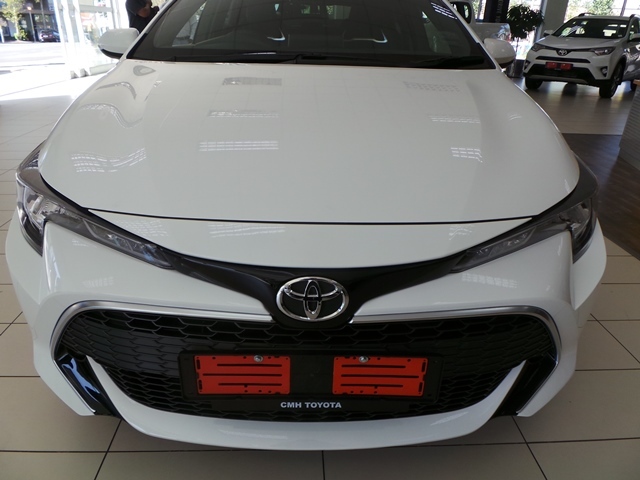 With its eye catching exterior and enhanced modifications it’s no surprise the new Toyota Corolla Hatch is an instant favourite. 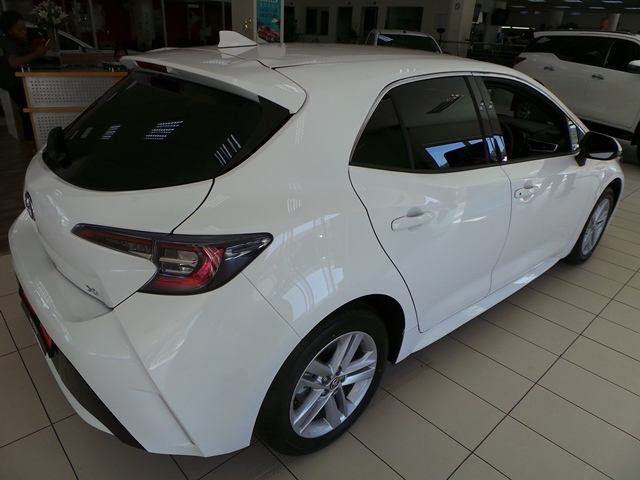 The exterior of the Corolla Hatch is lower, wider, and shorter than its predecessor. 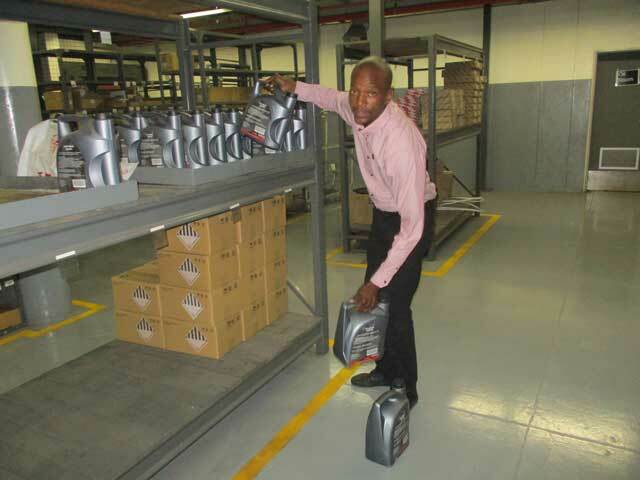 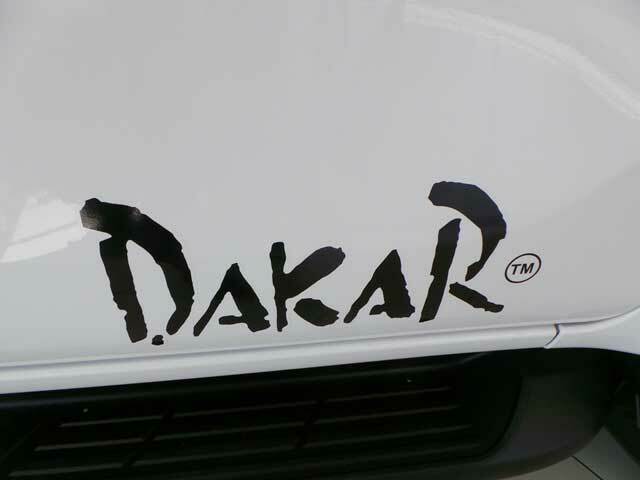 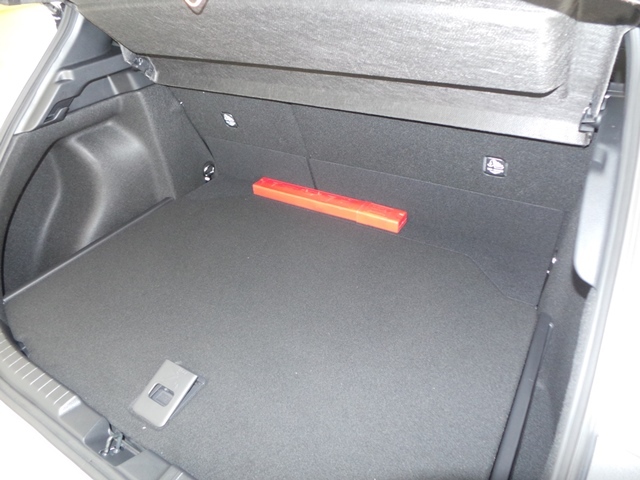 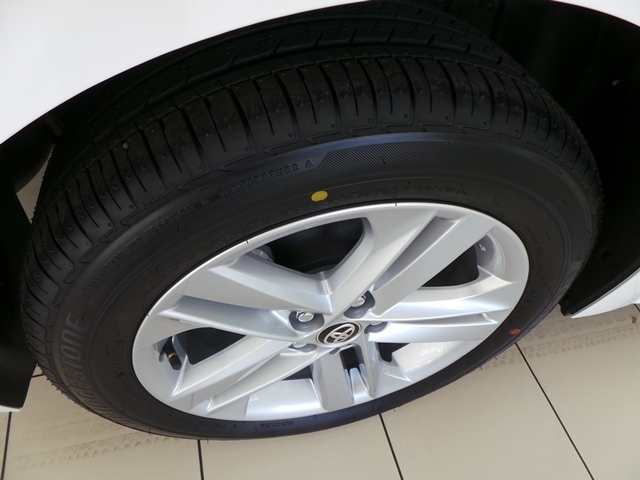 Its silhouette has been designed to improve the vehicles handling and increase its performance. 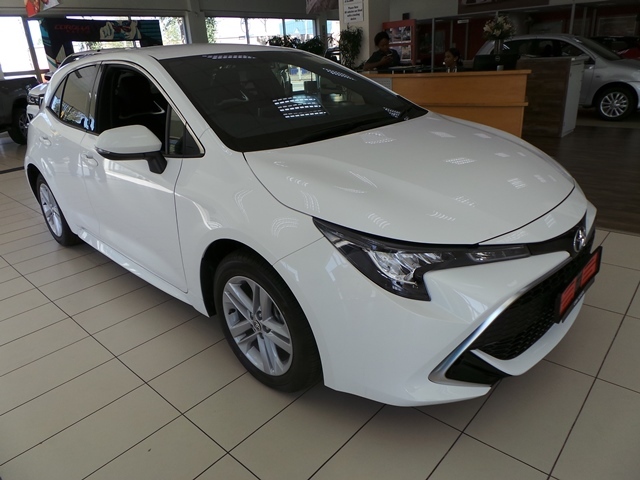 The all New Corolla Hatch is powered by advanced hybrid and petrol engines which takes its performance to a whole new level. 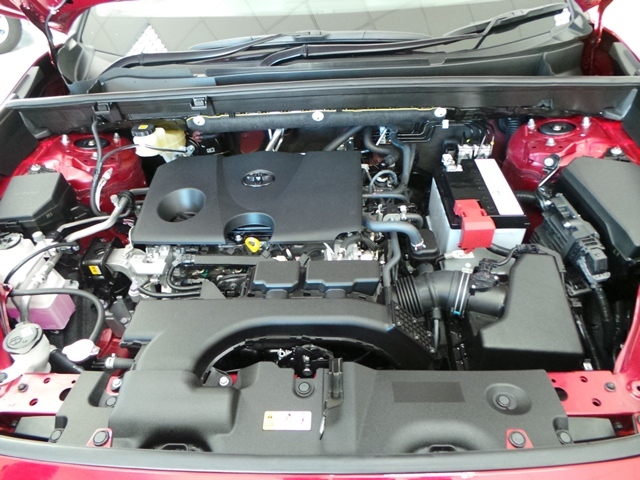 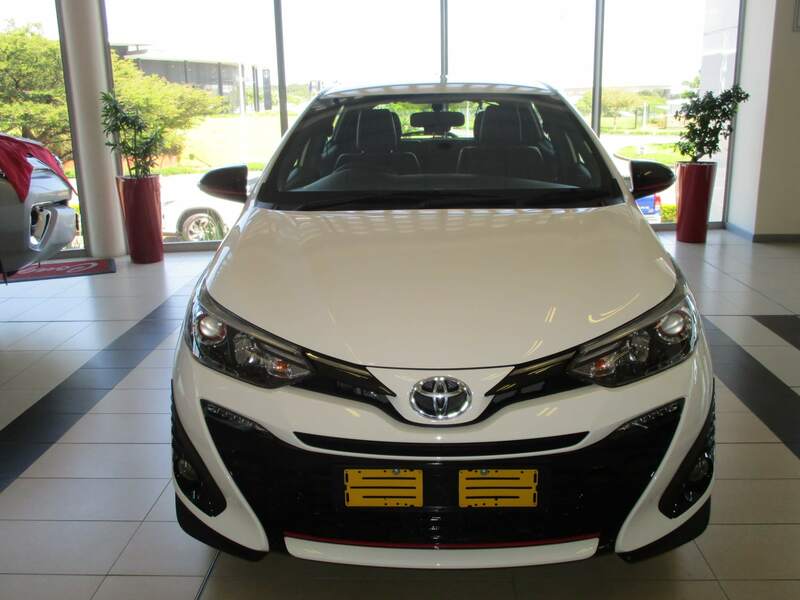 Every facet of the New Corolla Hatch has been meticulously streamlined to deliver impressive performance with remarkable fuel efficiency at 6.1 Litres per 100 Kilometres. 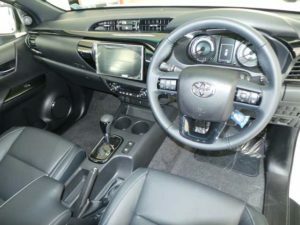 The interior has a simple design controlled by a wide, flat dashboard and an 8.0-inch touchscreen. 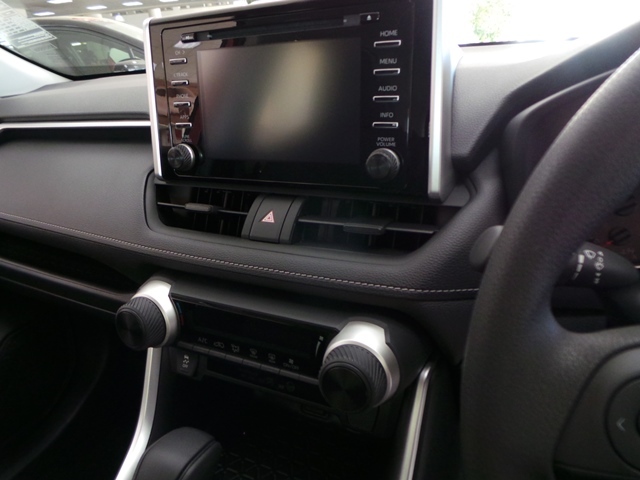 The touchscreen is responsive, easy to navigate, and is backed up by analog buttons that shortcut to specific menus, as well as all important buttons for controlling cabin temperature and audio volume. 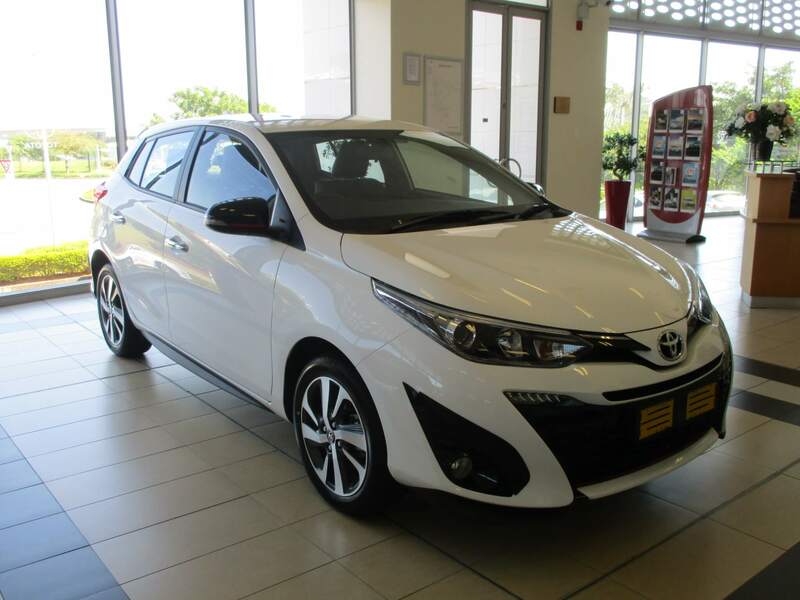 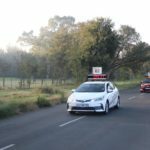 The Toyota Corolla Hatch is designed to stand out from the crowd with its lush exterior and comfortable and futuristic interior. 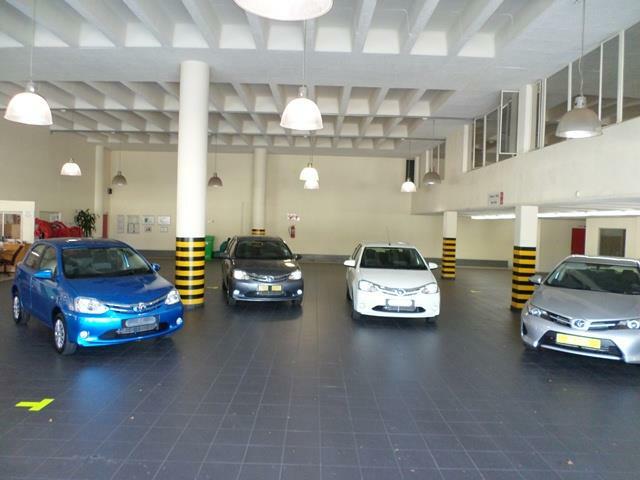 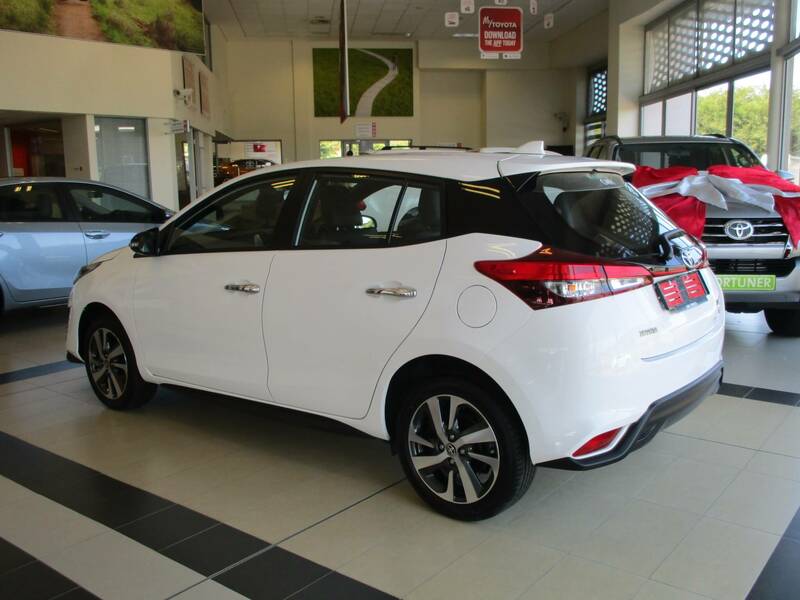 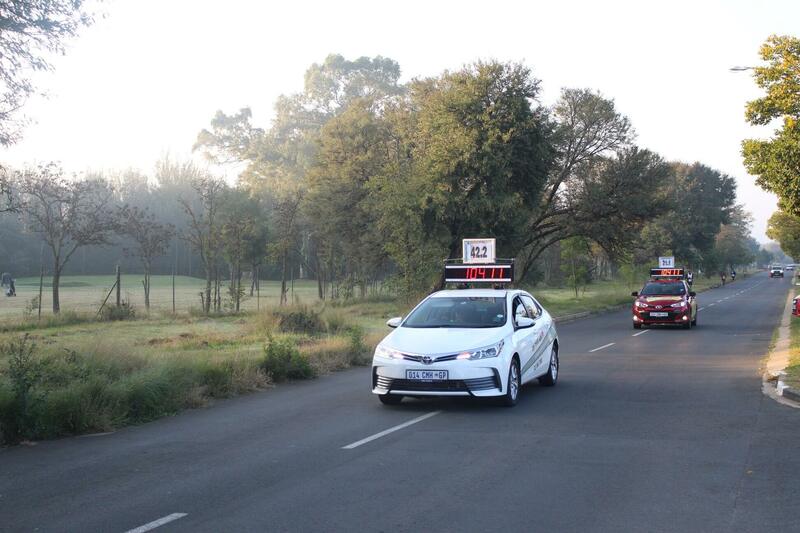 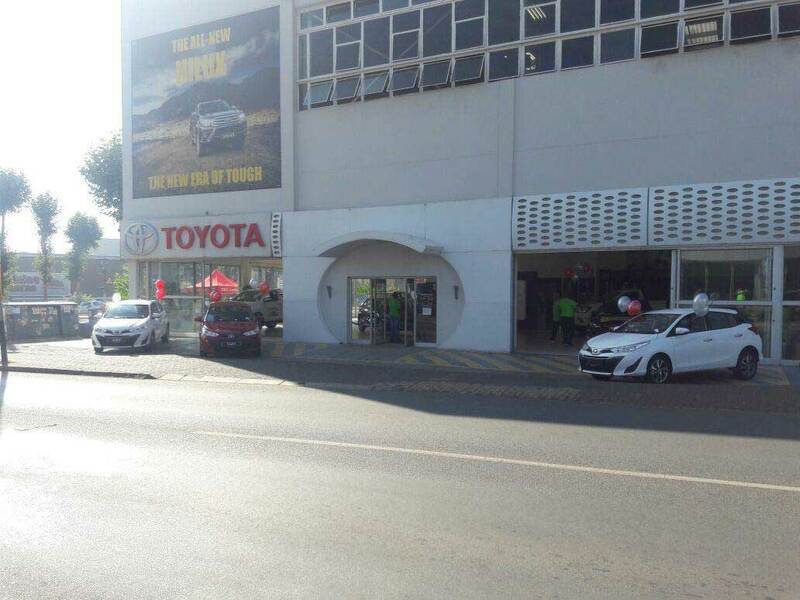 Come into CMH Toyota Alberton and test drive the all new Toyota Corolla Hatch today. 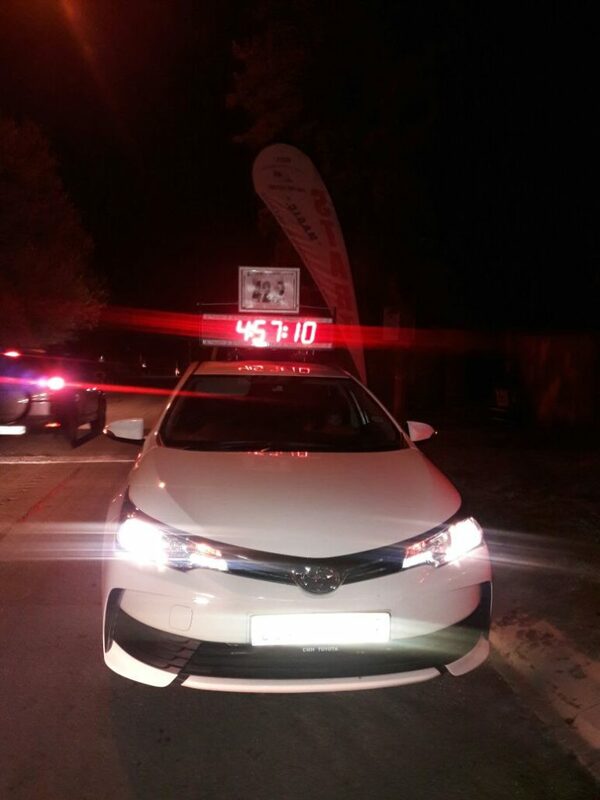 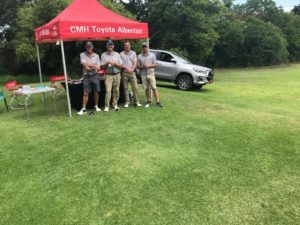 In the early hours of Thursday morning on the 3rd of January 2019 the CMH Toyota Alberton team introduced the all new Toyota Prado to the public. 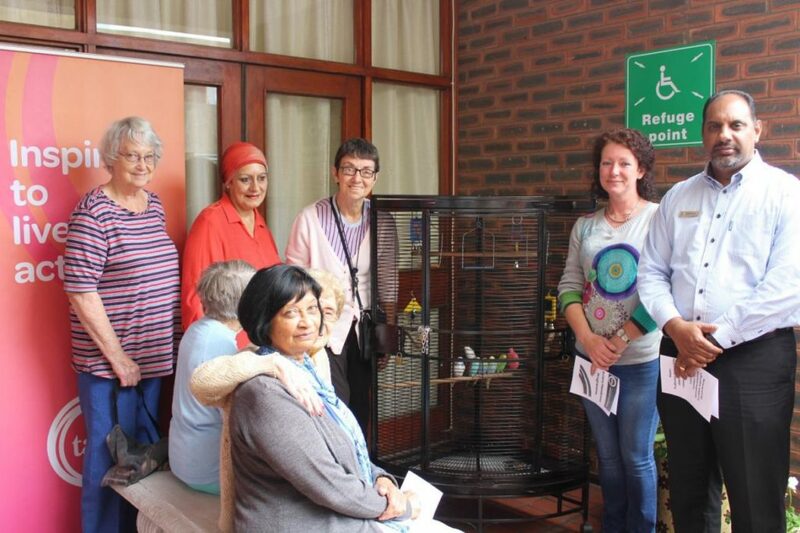 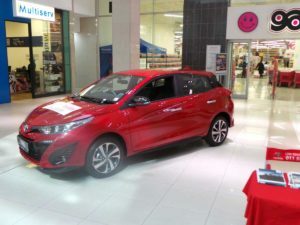 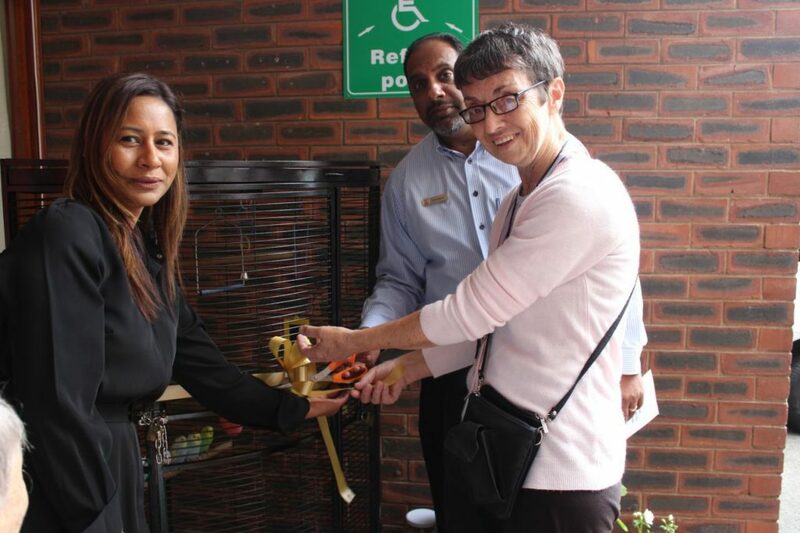 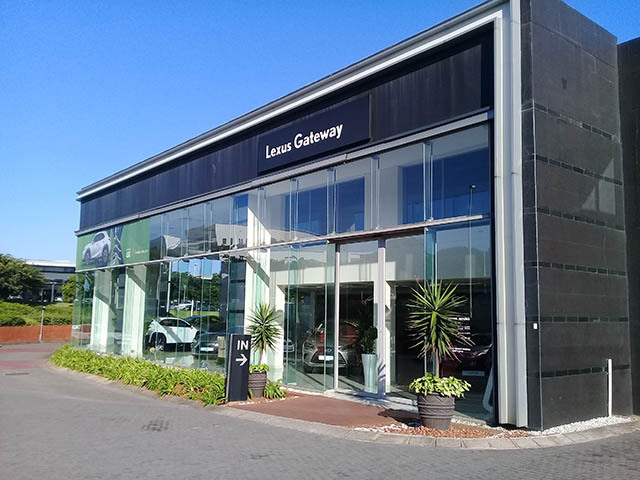 With its new robust exterior styling, luxury interior and its user friendly features it was no surprise that it was popular amongst the general public. 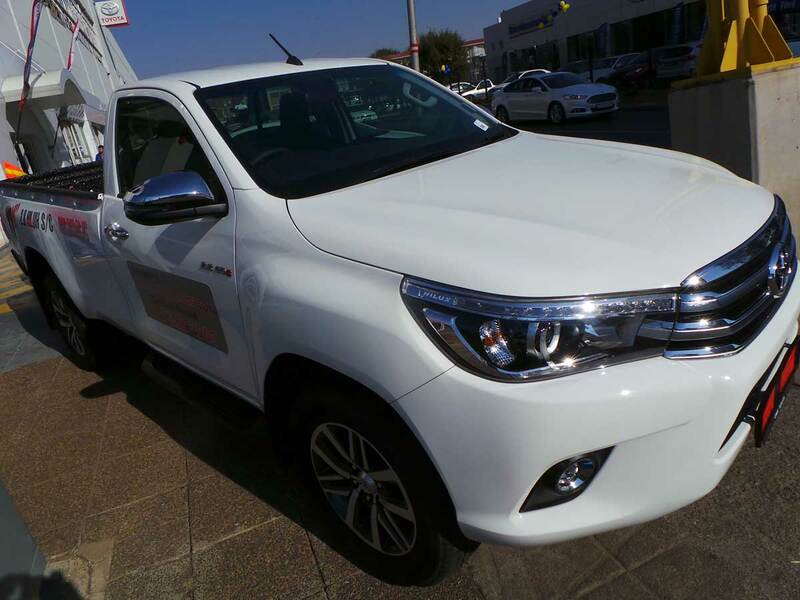 The new Toyota Prado’s exquisite elegance and Luxurious features put it head and shoulders above the rest. 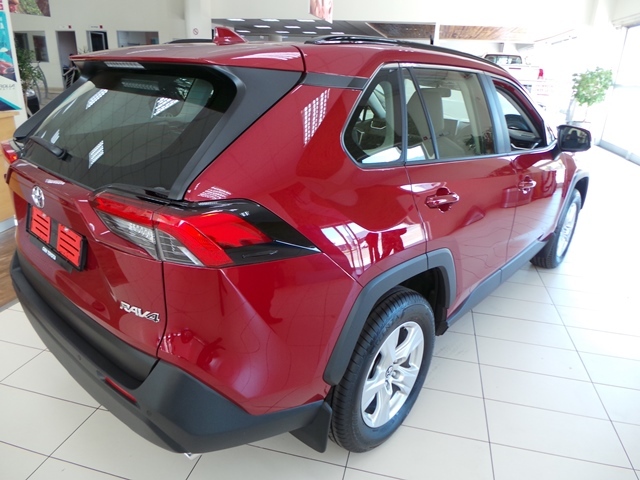 It’s now the only big SUV on the market that still has a separate ladder chassis and has been upgraded with revolutionary features that provide you with powerful traction in outdoor terrains. 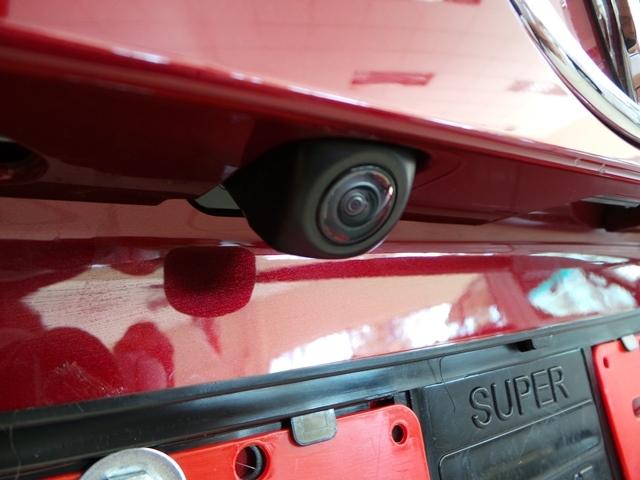 The front of the new Prado has been redesigned to enhance visibility in the centre, while the top edges corners of the wings have been raised so you see exactly where the corners of the vehicle are, and the headlights main beams are now inboard to protect them from plundering into tree branches. Overall, the Prado is a user friendly vehicle and despite its advanced technical features, it’s off road traits have been modified to make it an easy to use vehicle. 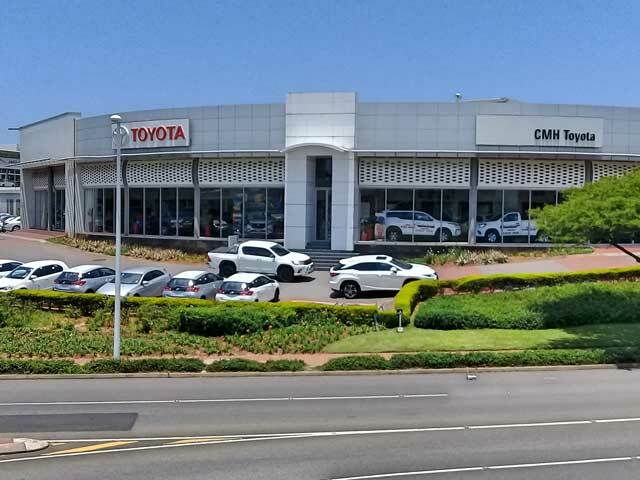 It’s no wonder that families around the world have fallen in love with the new Toyota Prado. 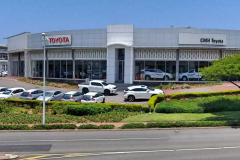 Put all that you have read, heard and researched about the Toyota Land Cruiser Prado to the test by coming in for a test drive or visit us at CMH Toyota Alberton to find out about any current specials. 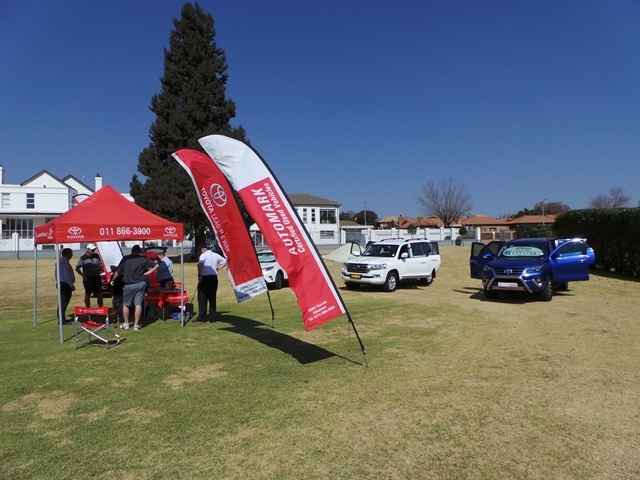 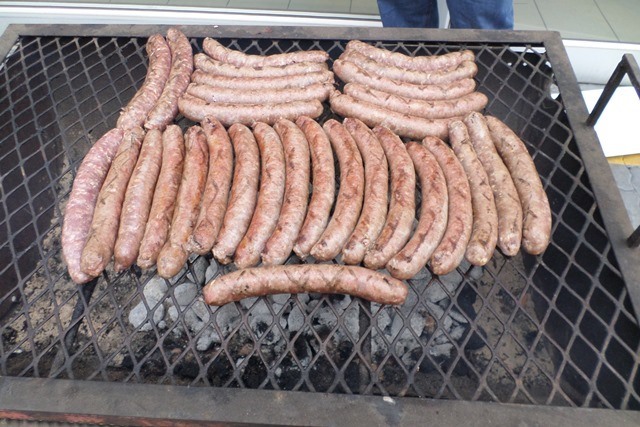 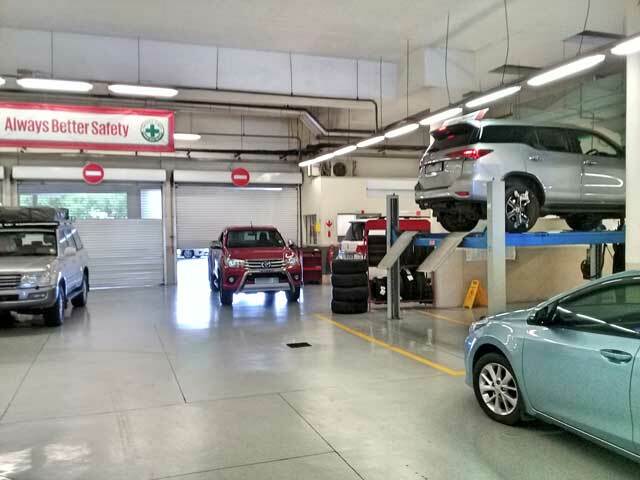 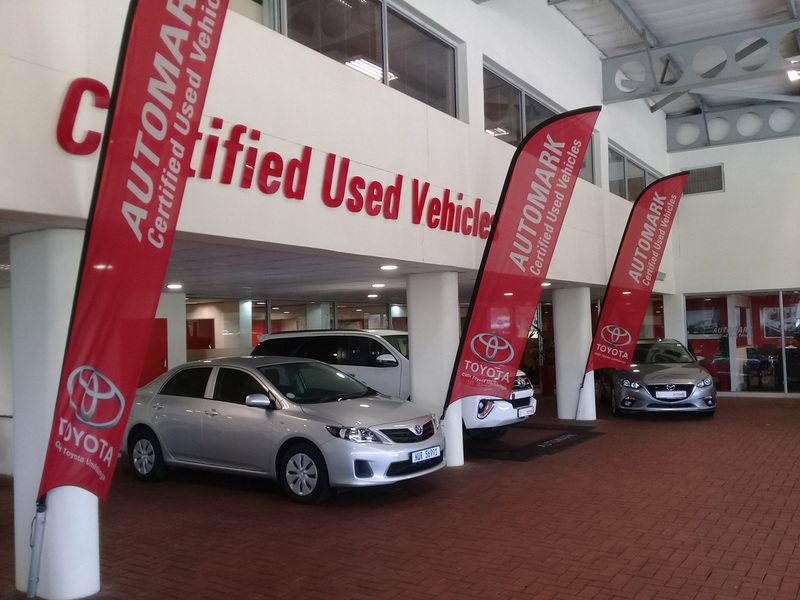 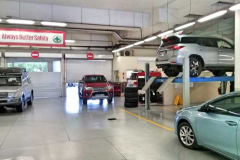 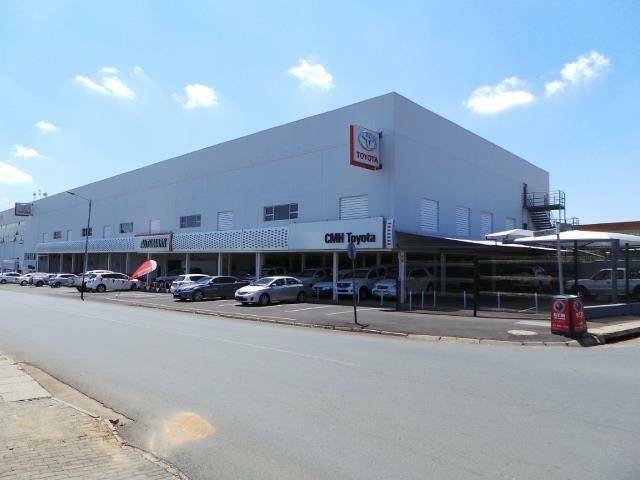 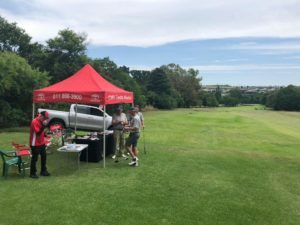 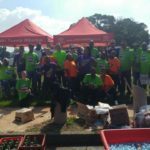 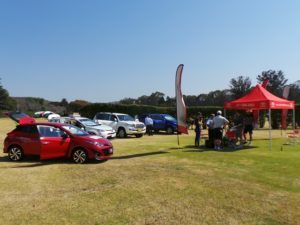 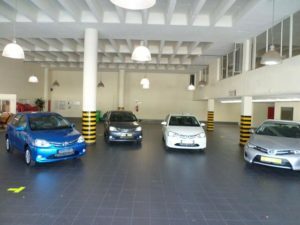 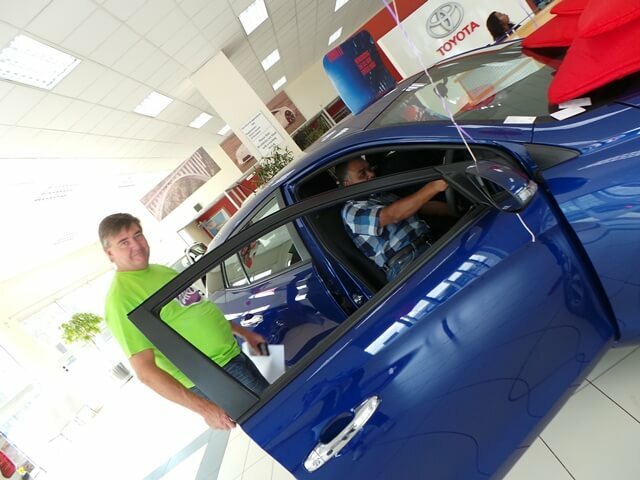 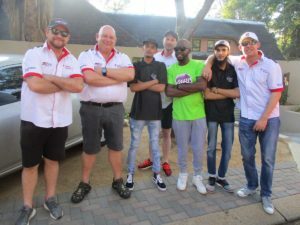 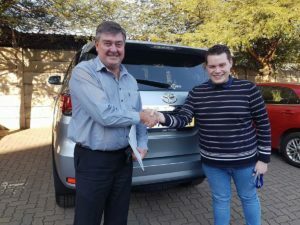 CMH Toyota Alberton held their specials event day on Saturday 25th of August 2018. 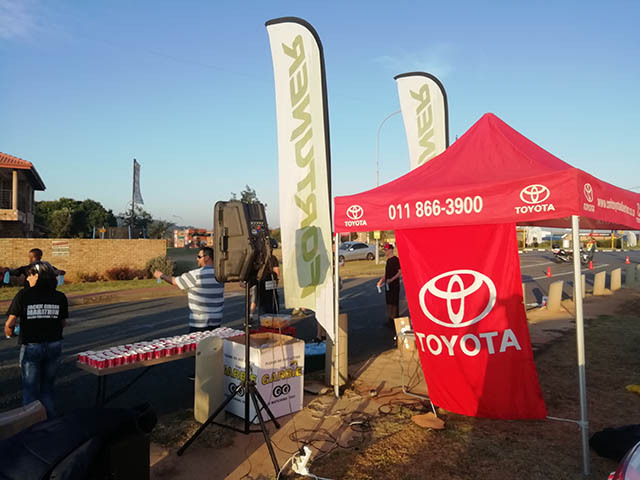 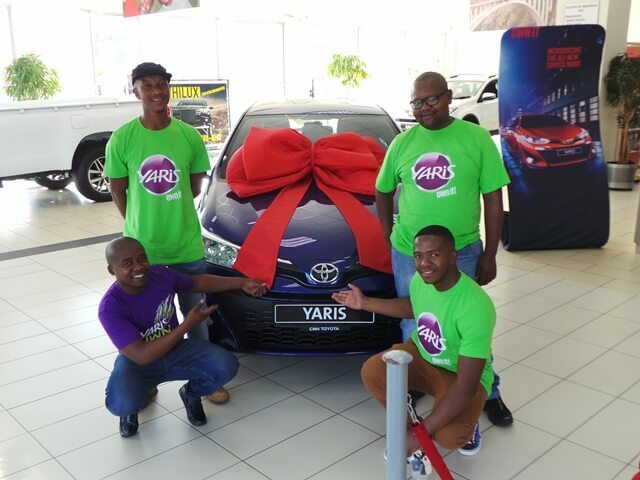 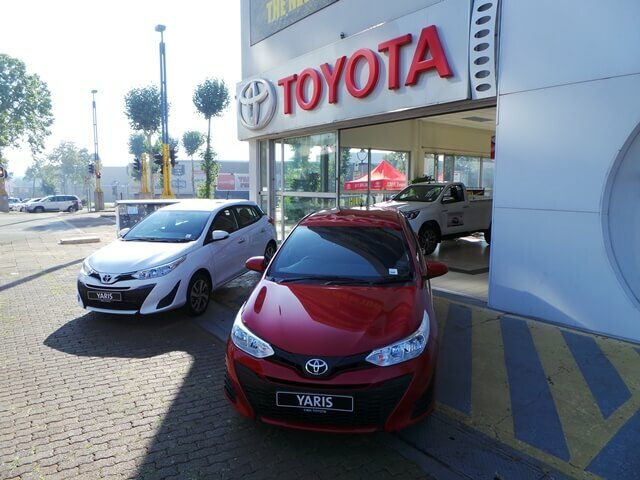 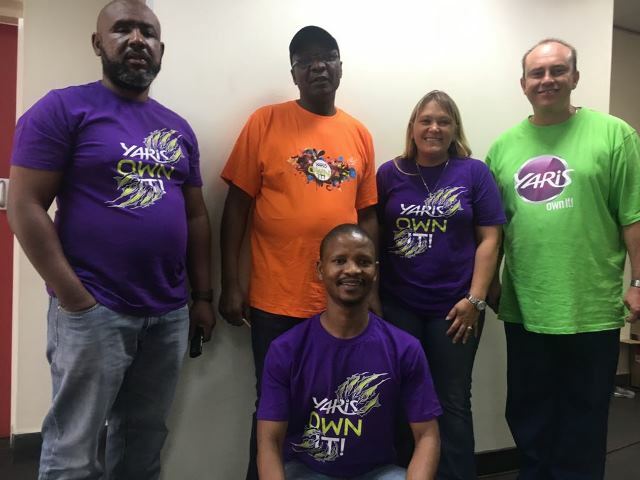 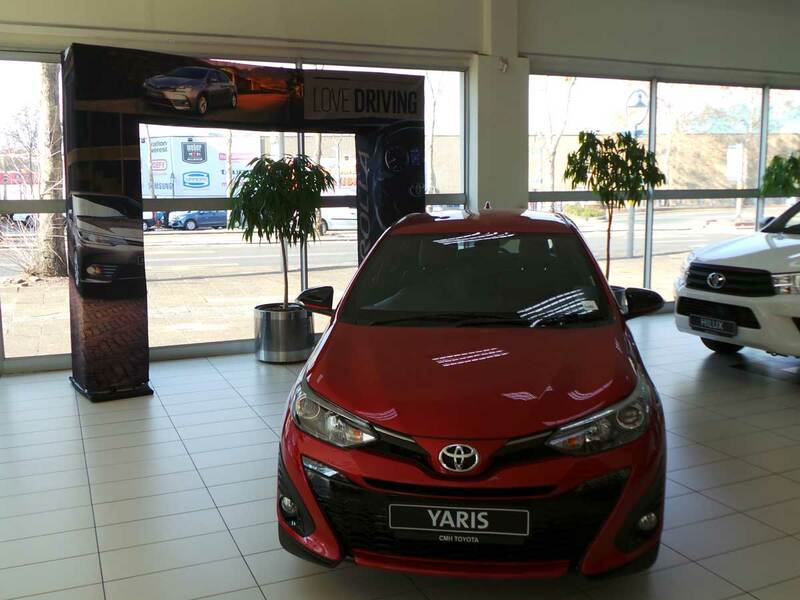 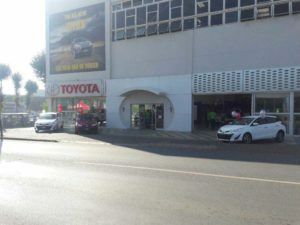 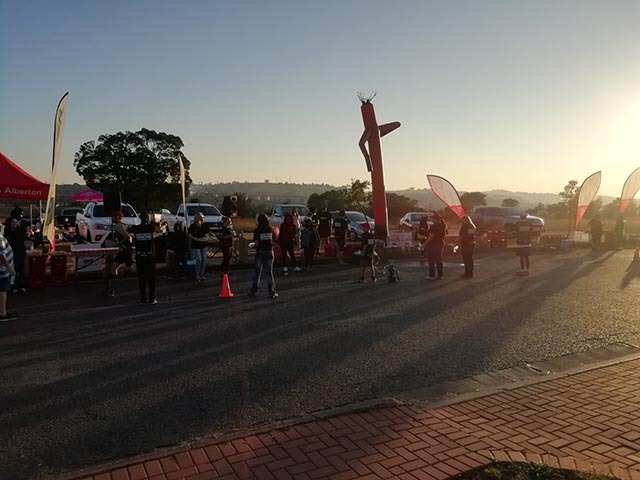 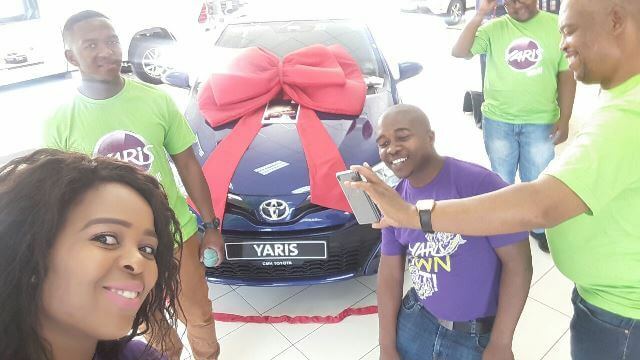 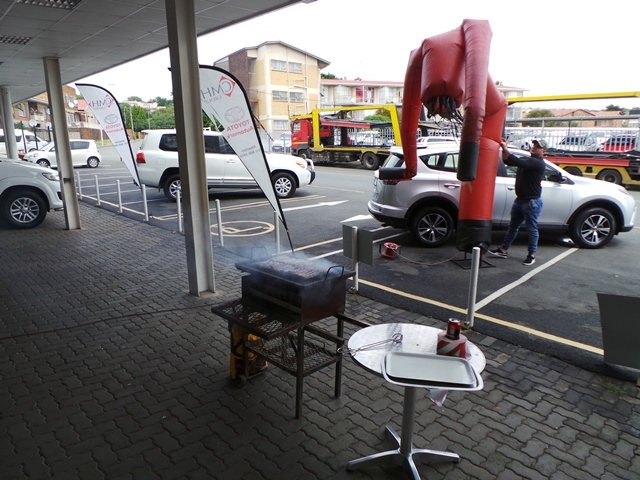 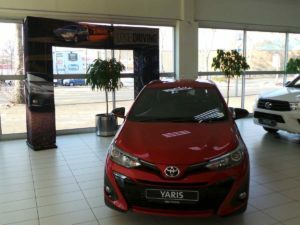 The morning kicked off at around 09:00am at CMH Toyota Alberton, all customers were invited to come through and join us at the Dealership to view and test drive the two main specials of the day the Toyota Hilux Single Cab and the All New Toyota Yaris. 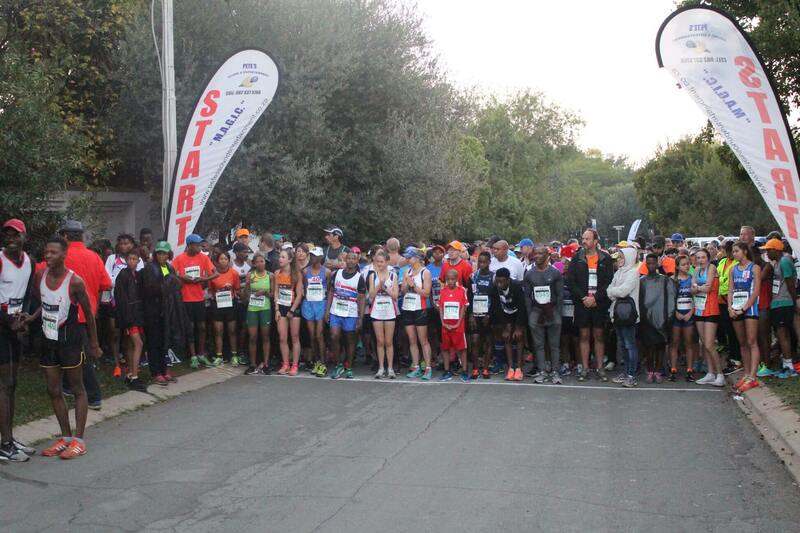 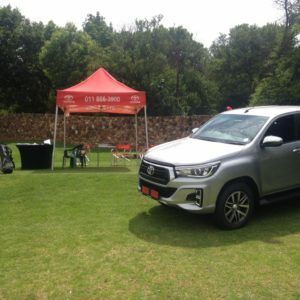 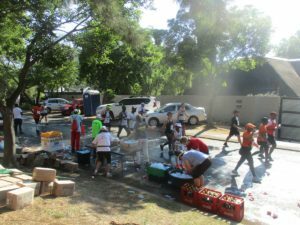 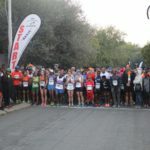 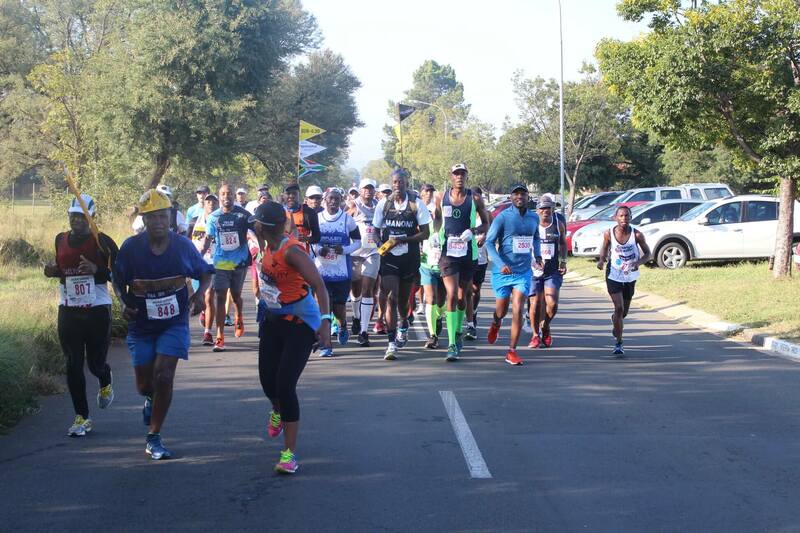 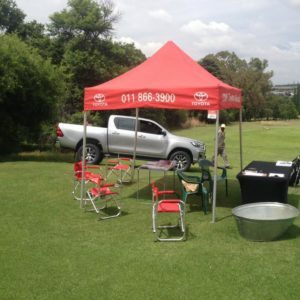 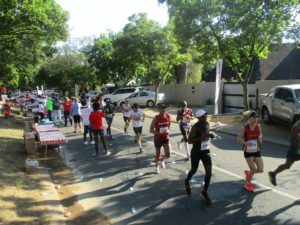 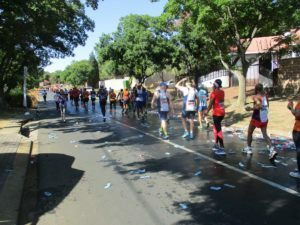 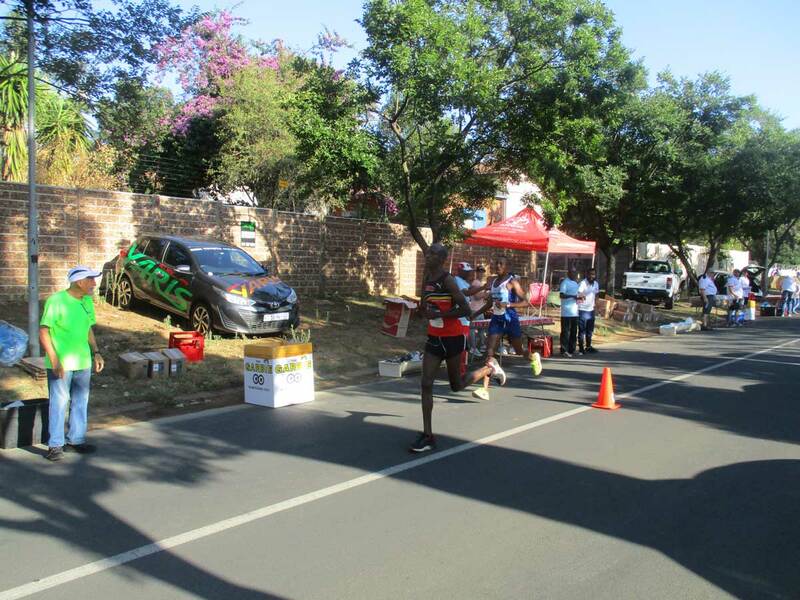 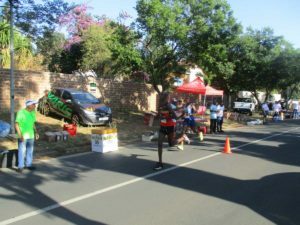 The Vehicle that truly stood out for the customers on that day was the popular Toyota Hilux Single cab, customers saw how tough the Toyota Hilux truly is for any type of terrain. 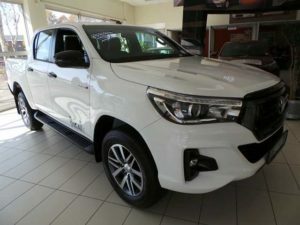 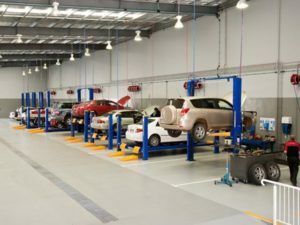 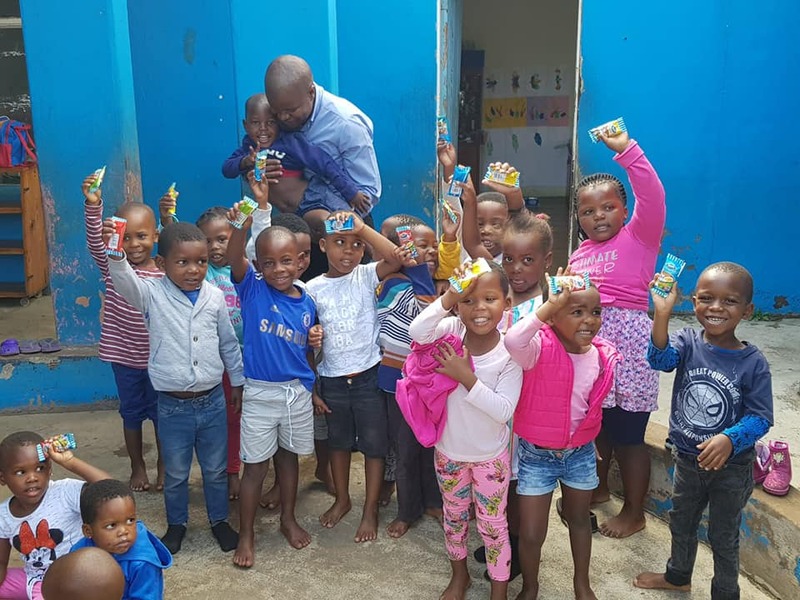 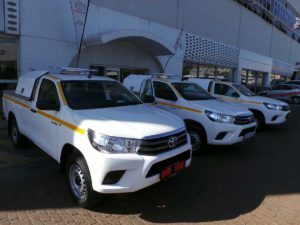 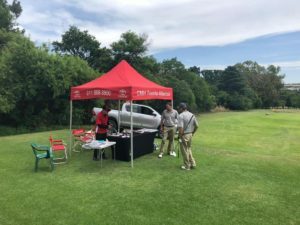 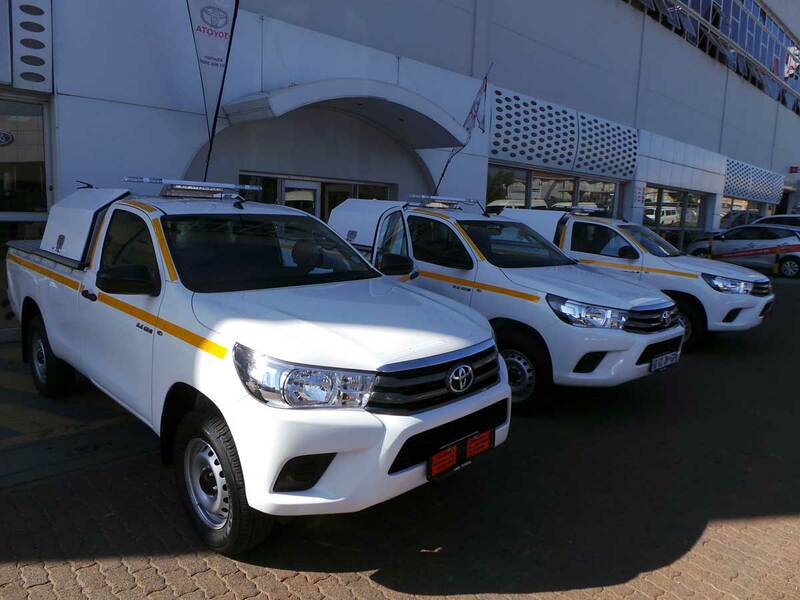 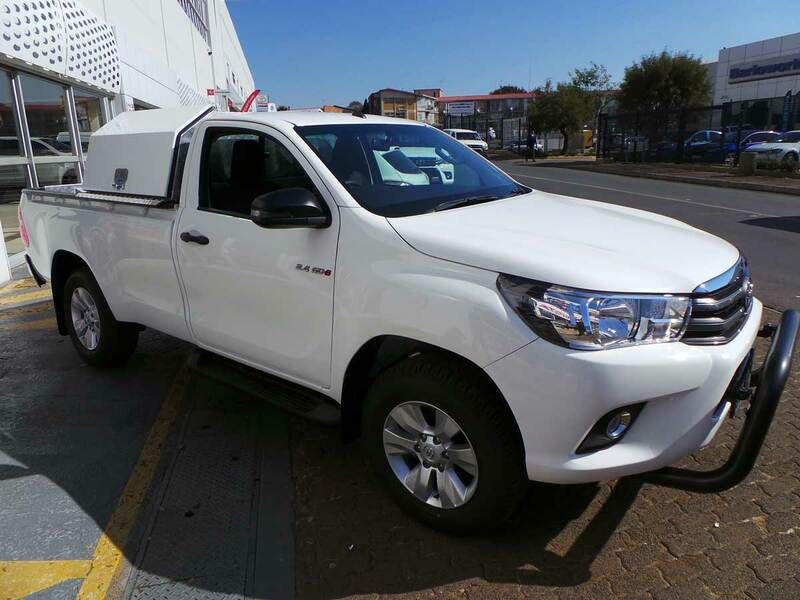 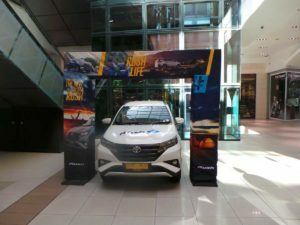 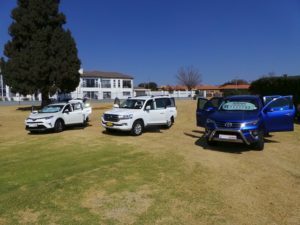 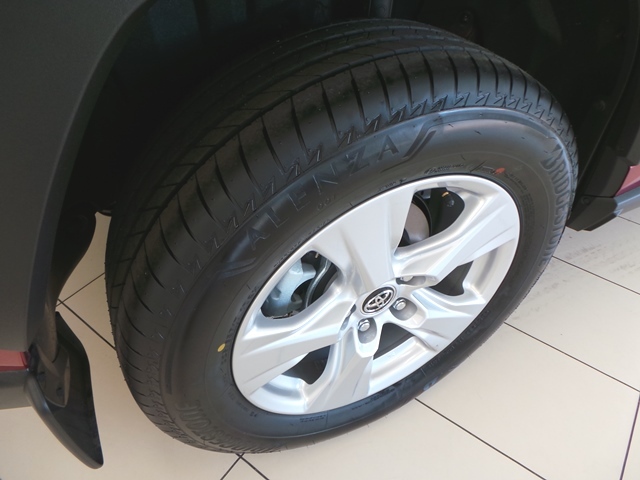 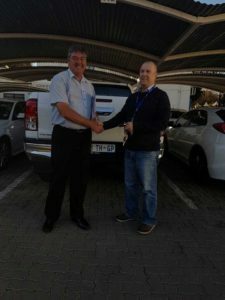 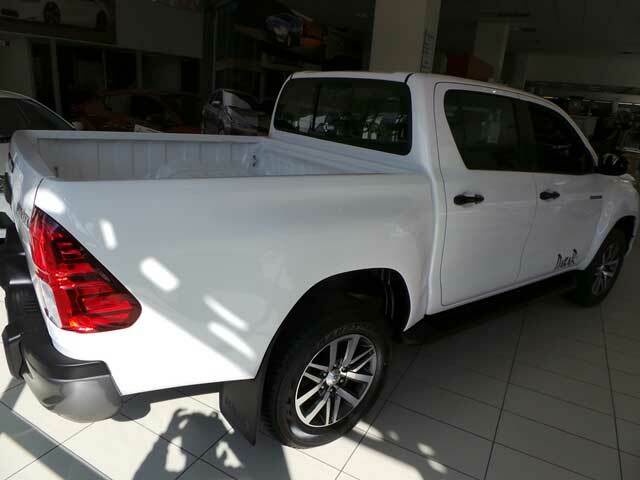 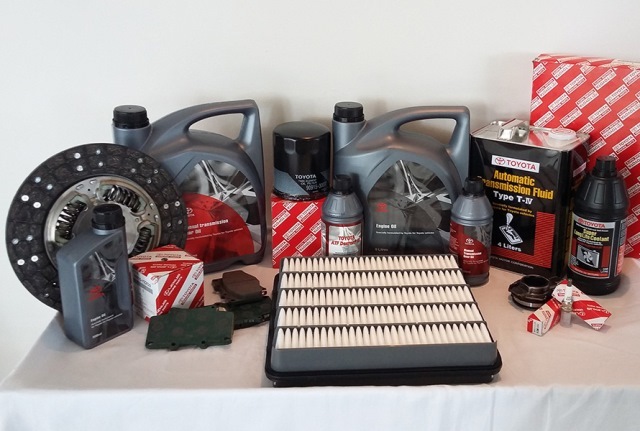 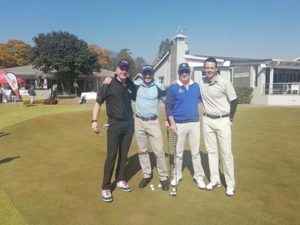 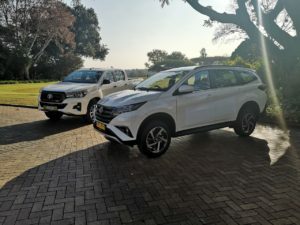 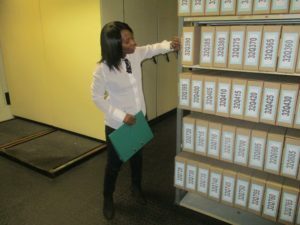 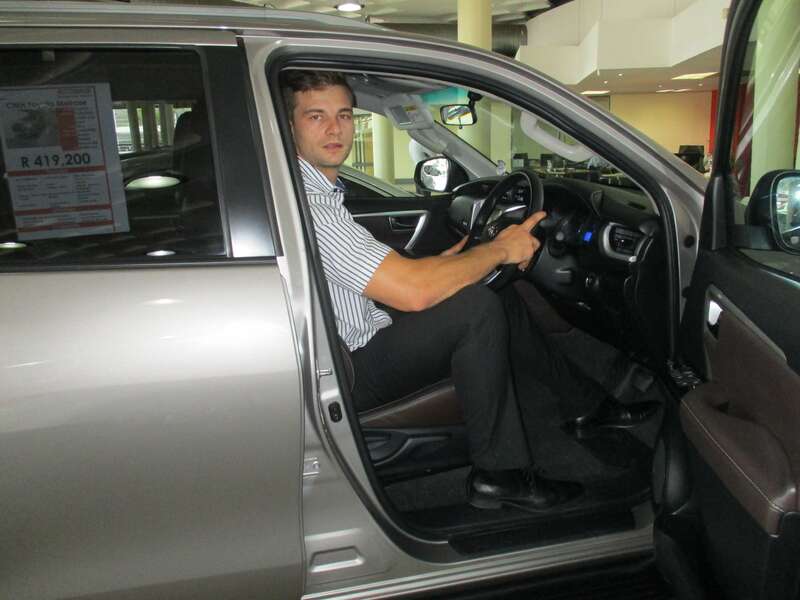 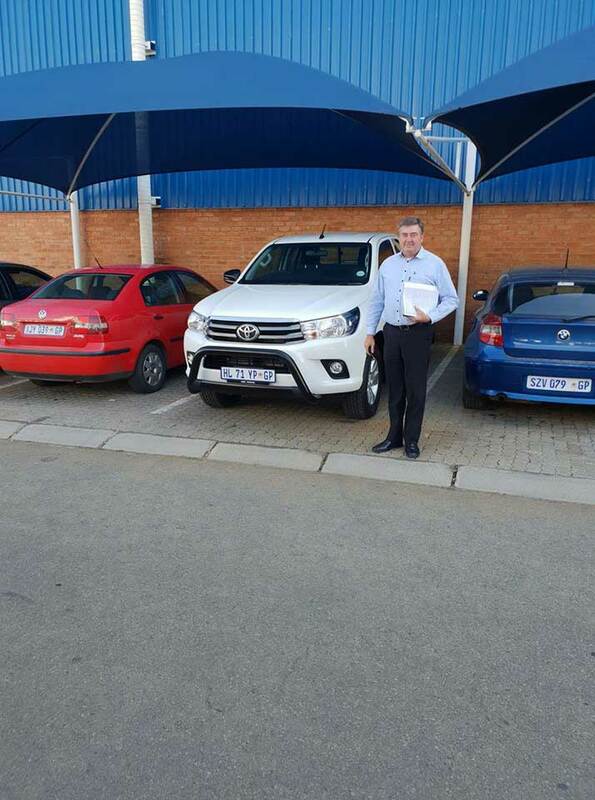 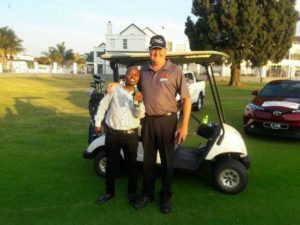 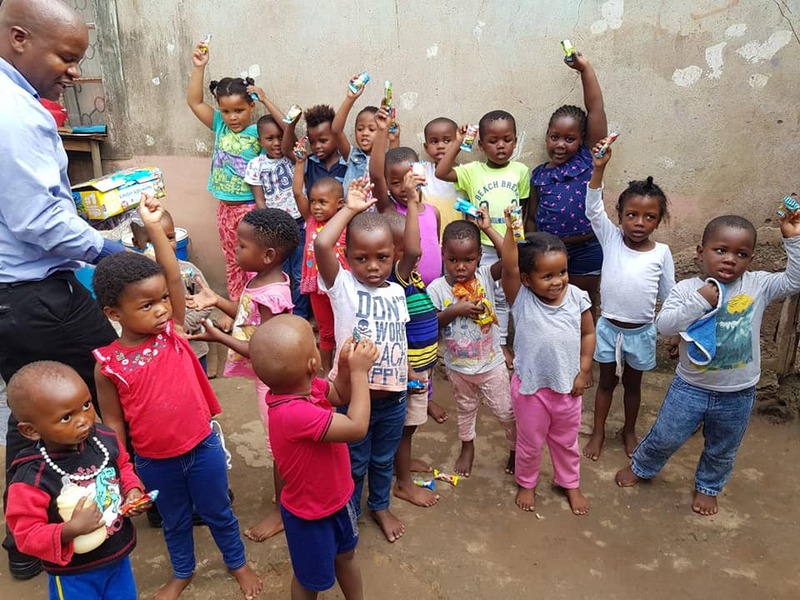 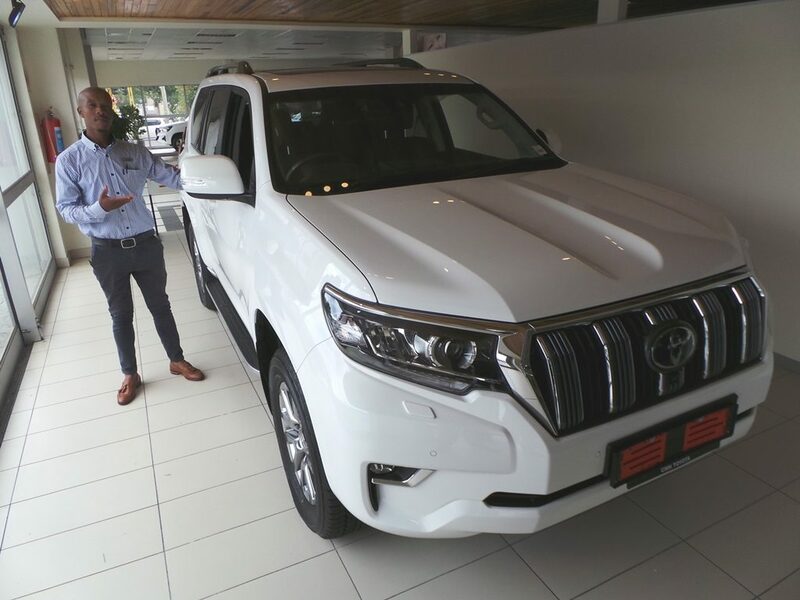 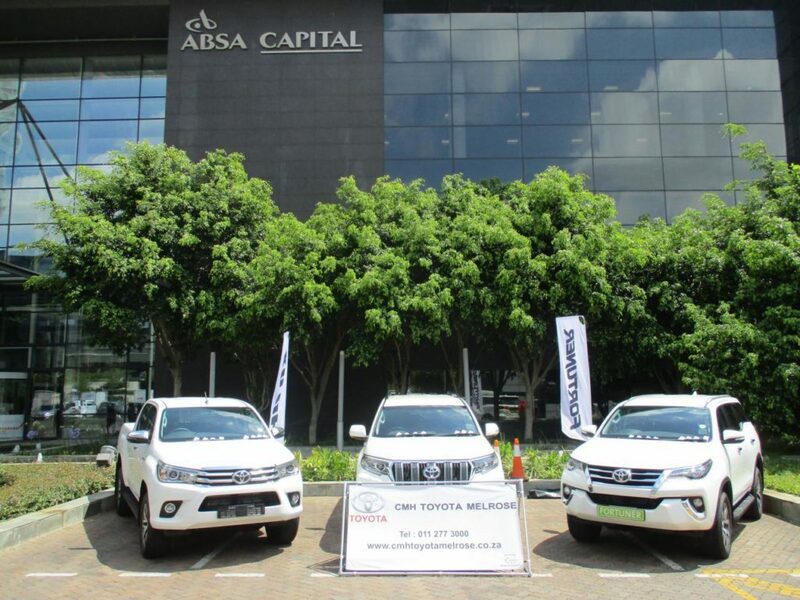 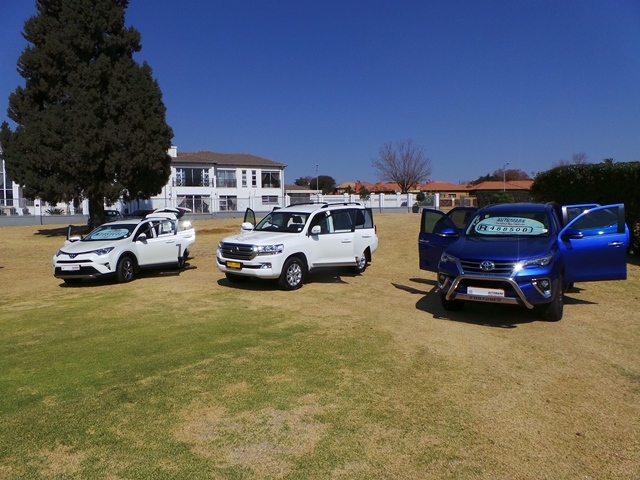 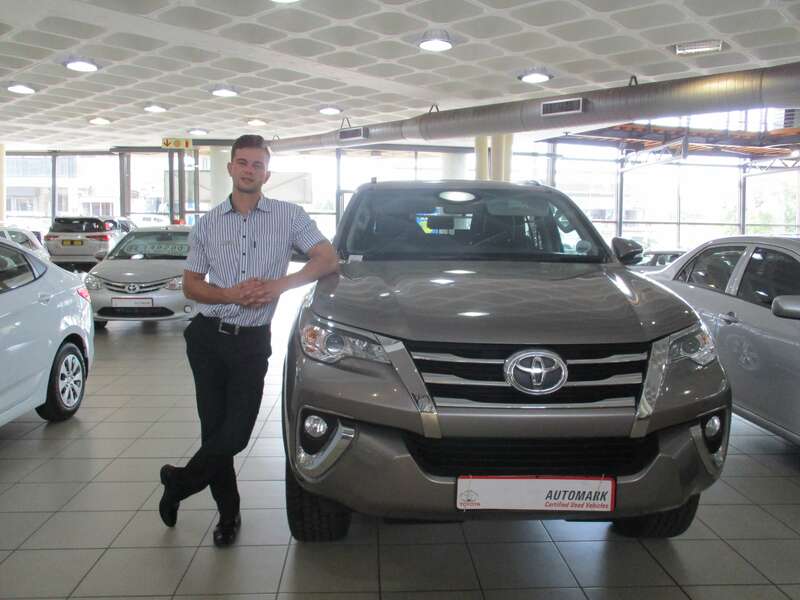 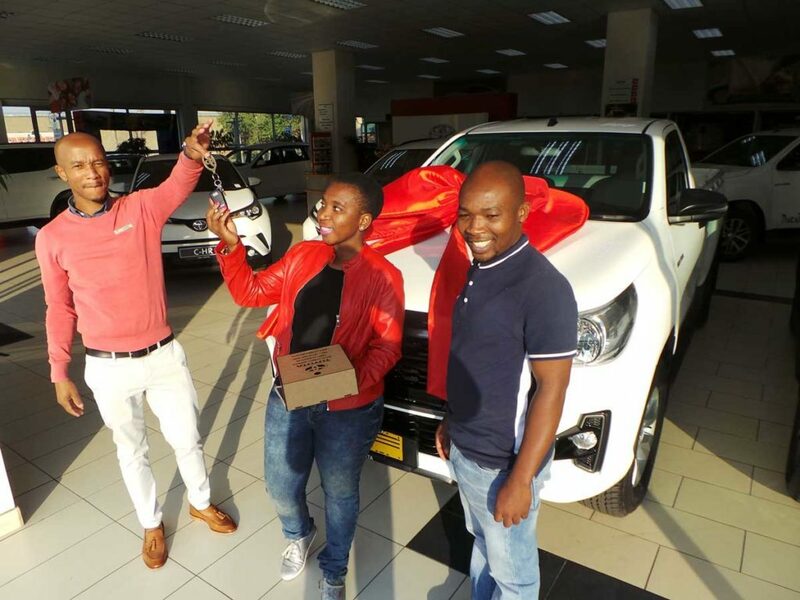 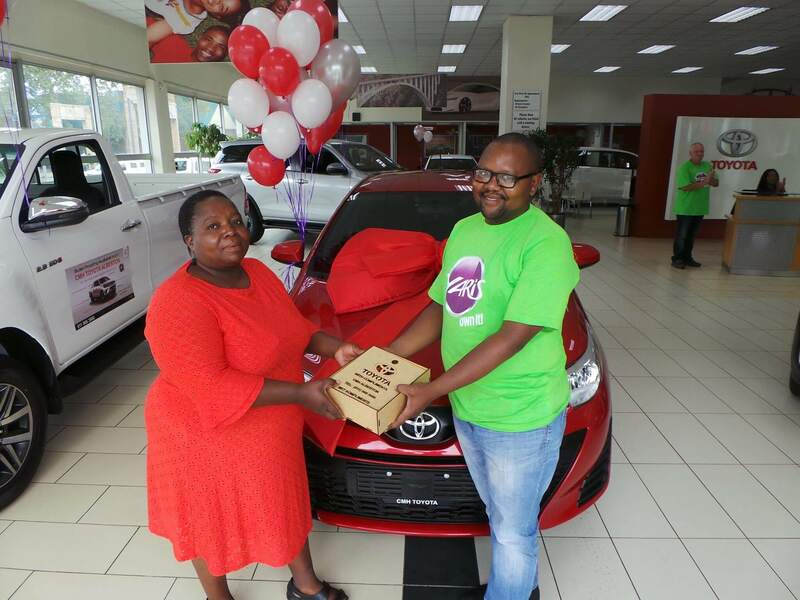 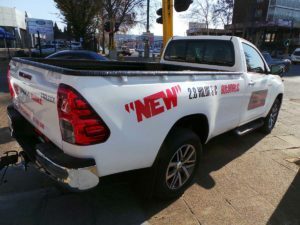 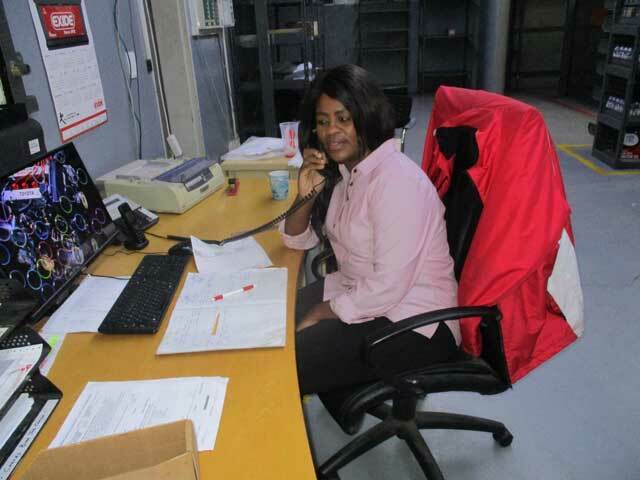 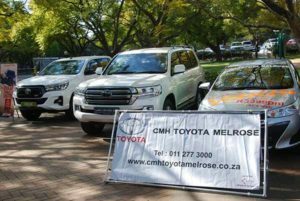 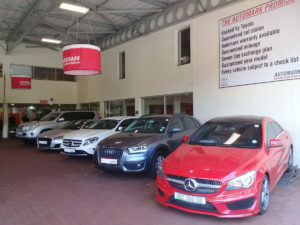 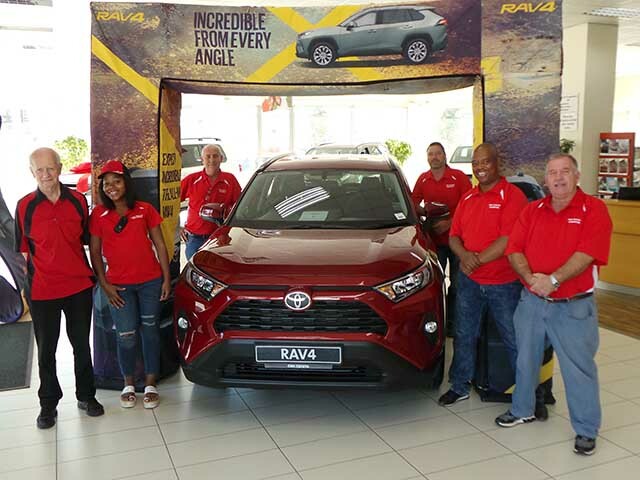 The sales executives also gave the customers some background regarding the Toyota Hilux and showed them why it is such a popular in-House Fleet vehicle. 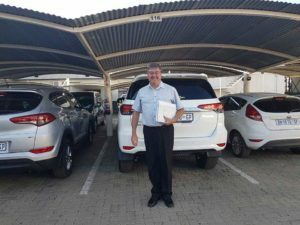 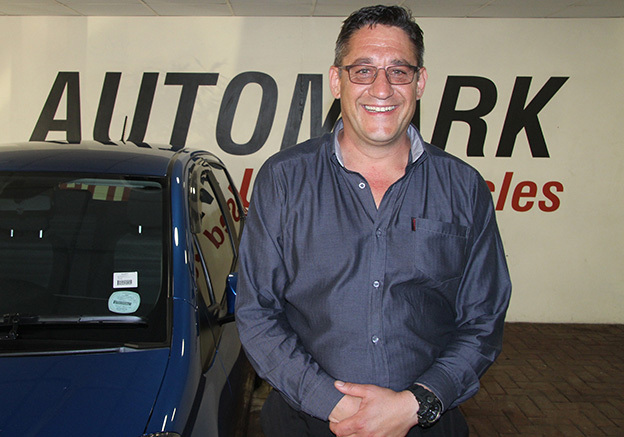 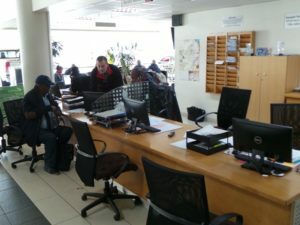 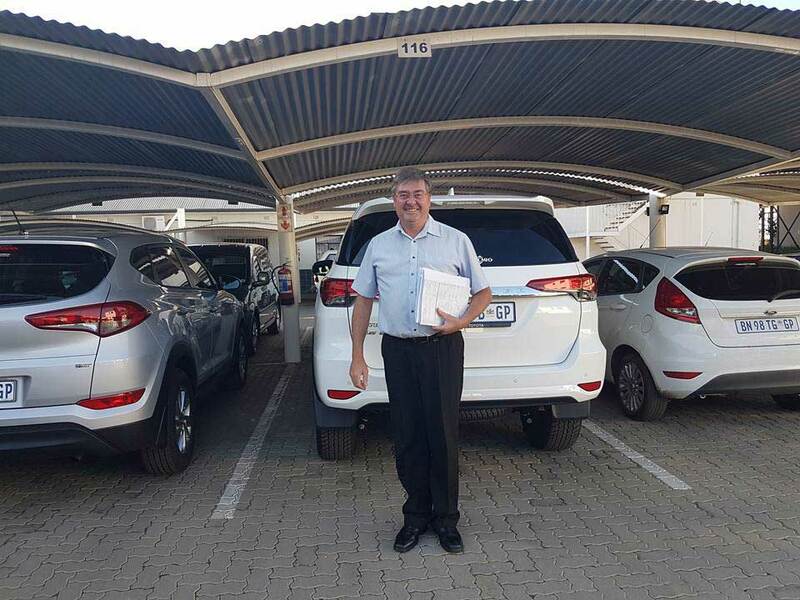 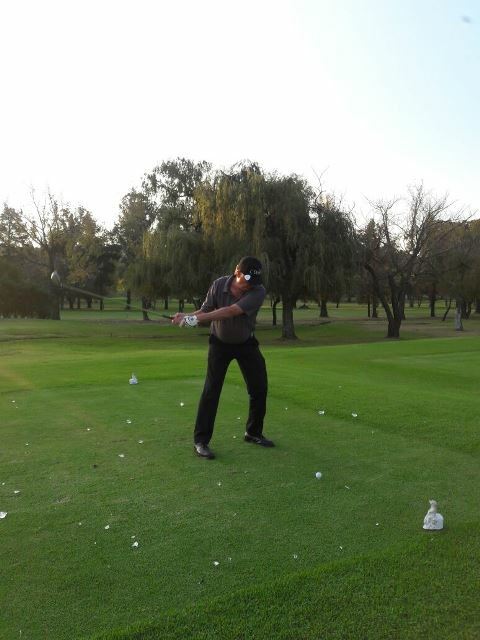 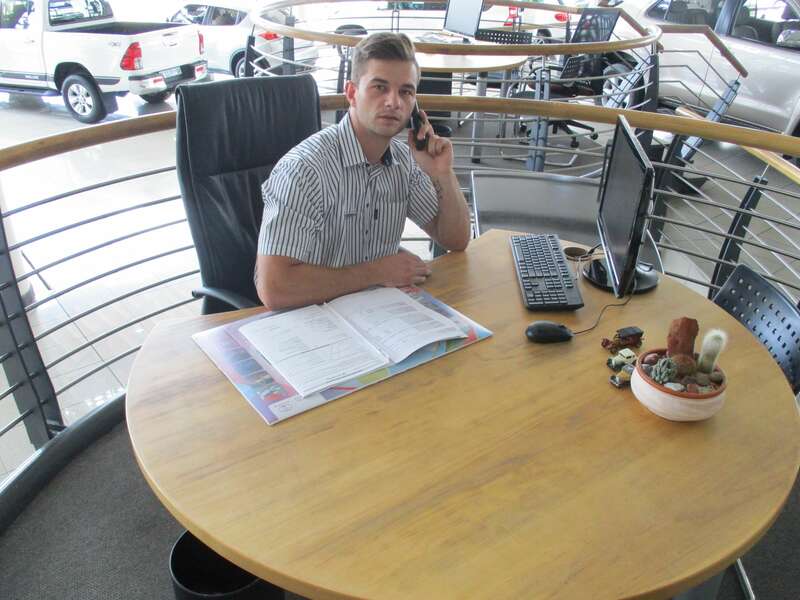 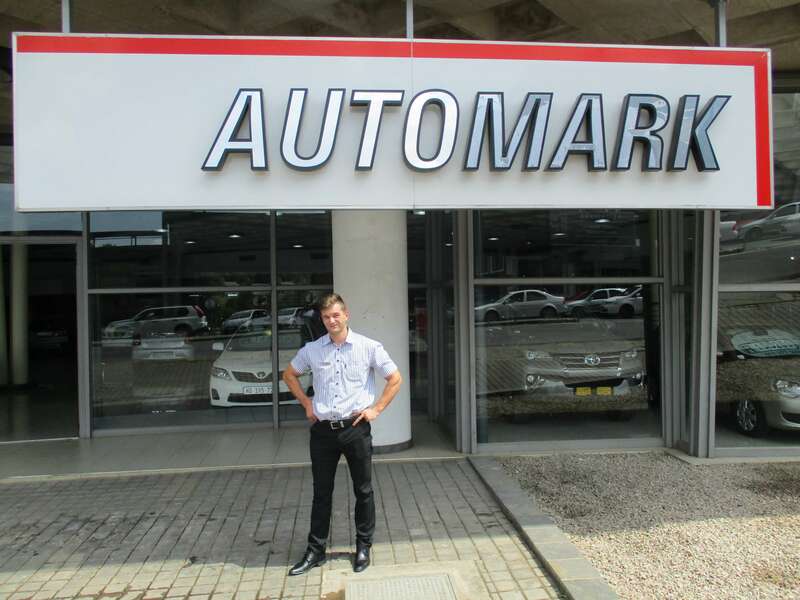 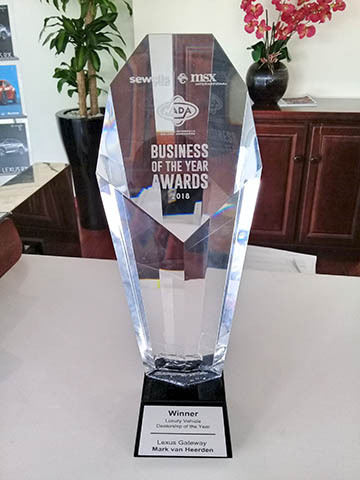 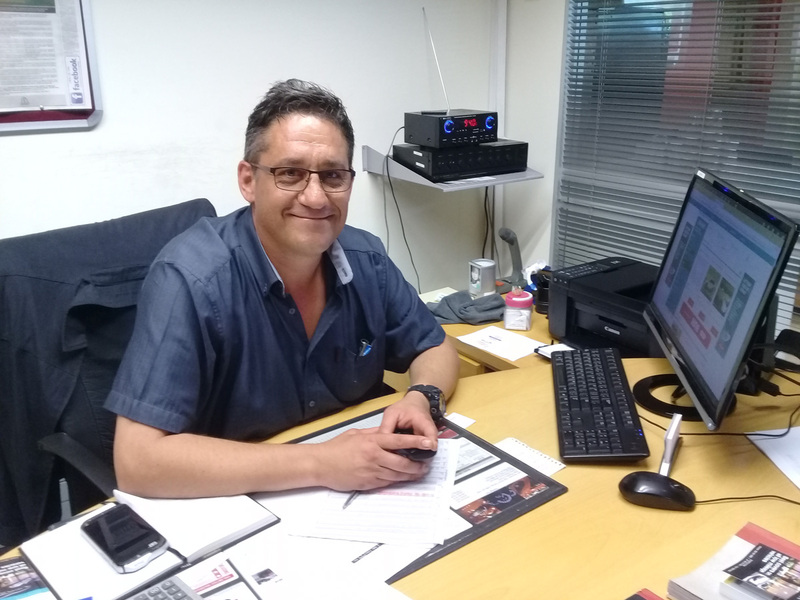 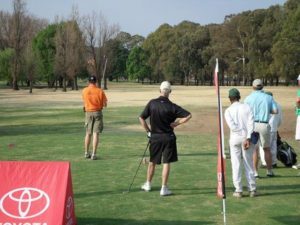 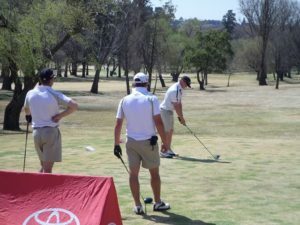 Sales manager Richard Pretorius advised the customers that The Hilux legacy is legendary and since its introduction in 1969, the model has etched an enviable reputation for itself across the globe, where its durability, strength and outright quality, has entrenched itself in the hearts of its owners. 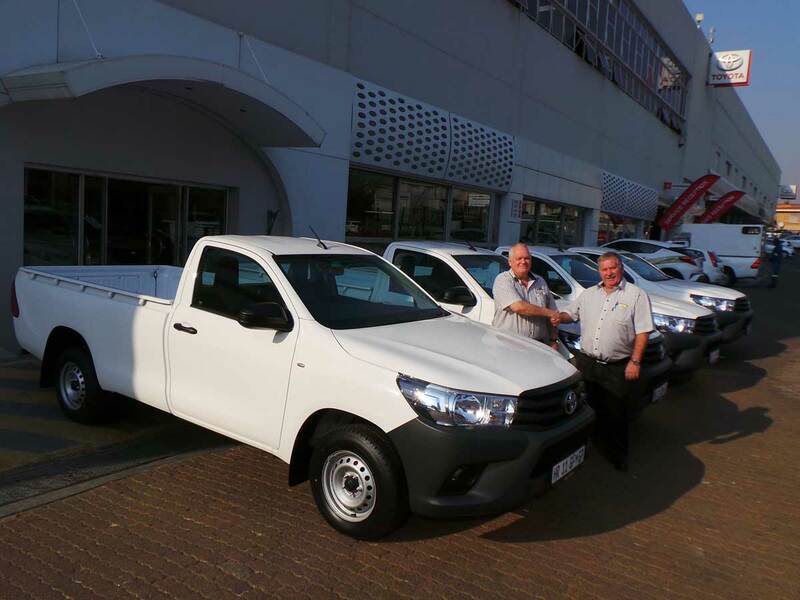 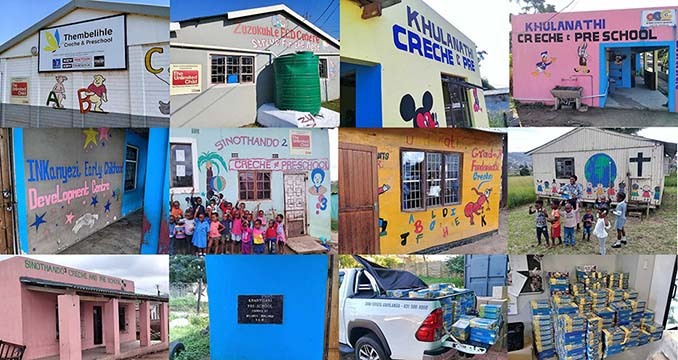 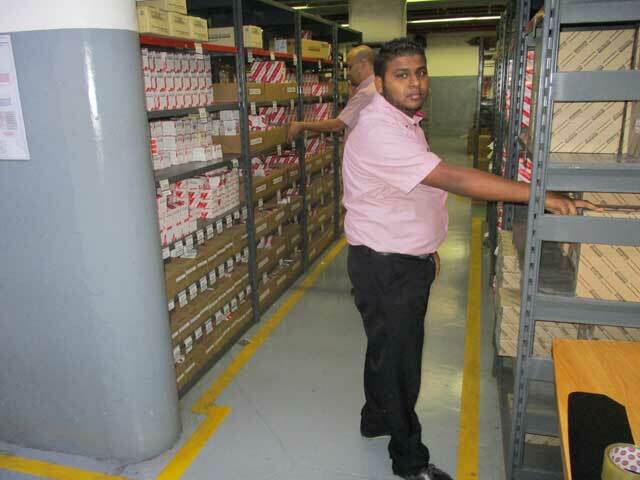 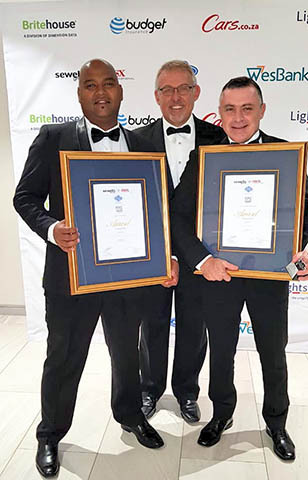 Within the light commercial vehicle market (LCV), customers no longer only expect toughness and durability from their ‘bakkie’, but are placing much greater emphasis on comfort, convenience and design. 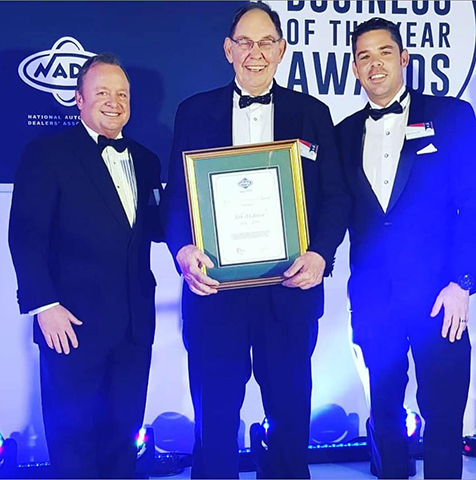 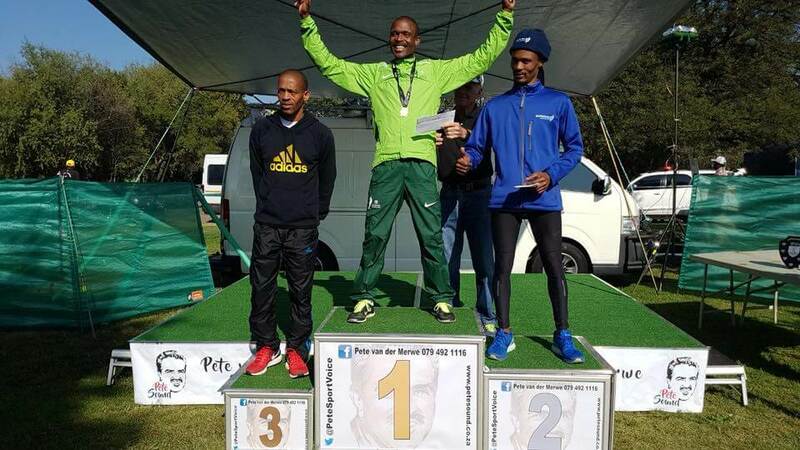 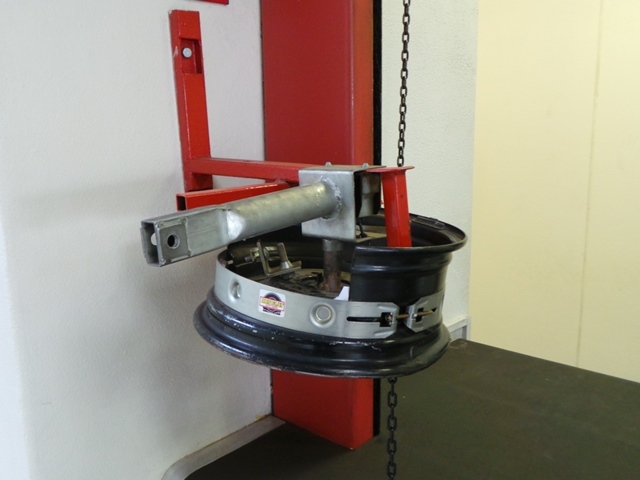 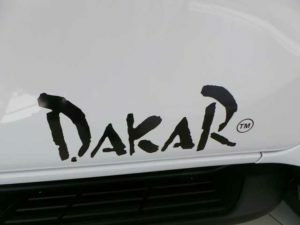 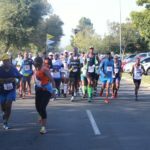 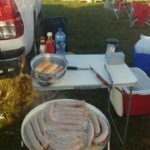 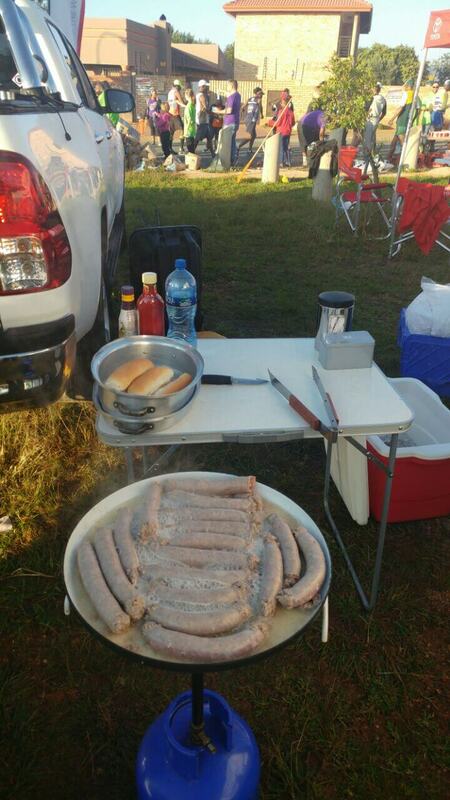 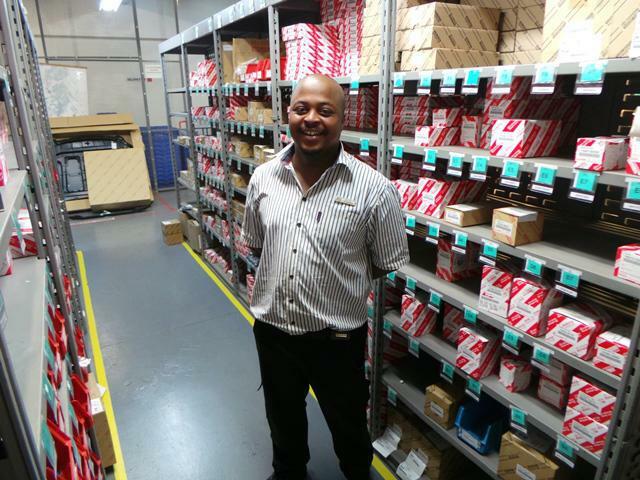 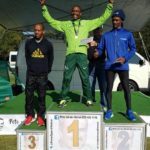 The ‘bakkie’ of today needs to fulfil a multi-purpose role, and not merely as a ‘jack of all trades’ but in fact it needs to be a ‘master of all’. 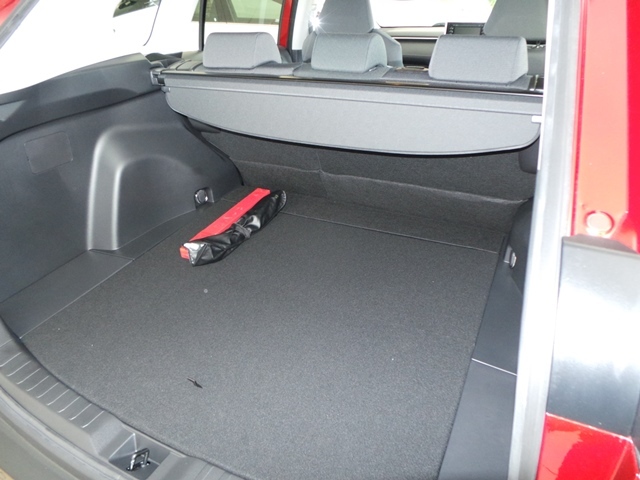 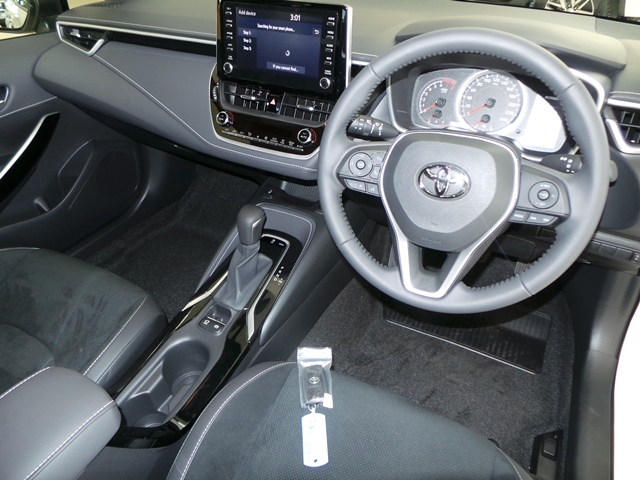 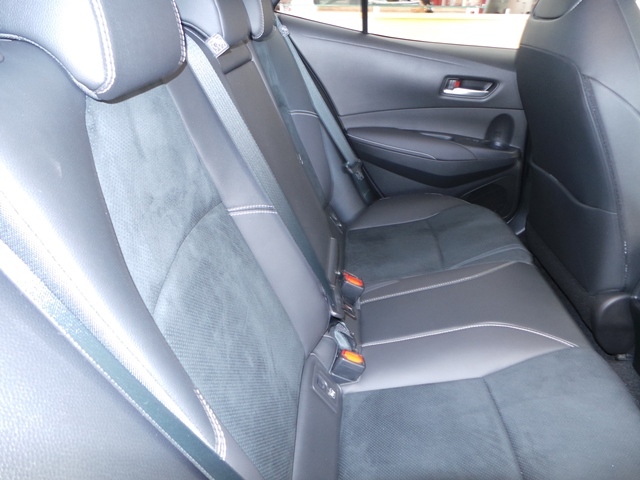 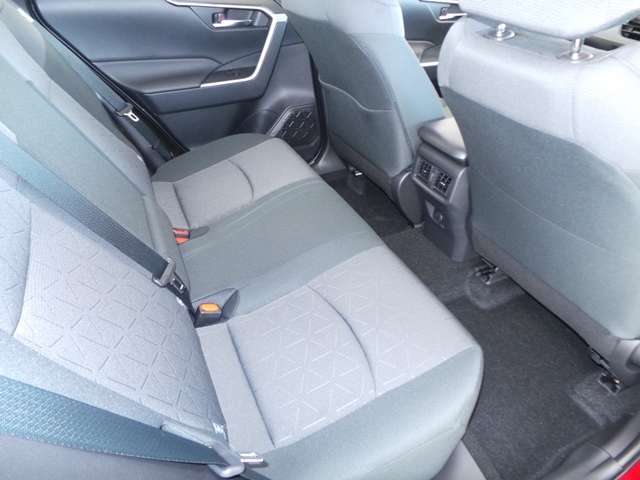 The interior design of the Hilux sets new standards for a light commercial vehicle. 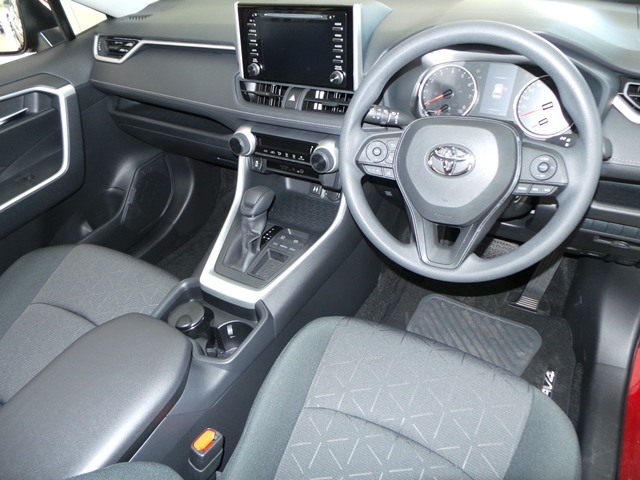 The same design ethos of tough and advanced was used to create an interior that combines ruggedness and practicality with innovation and design. 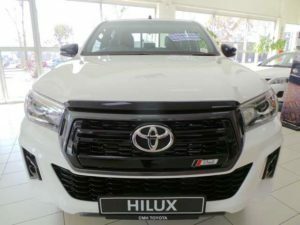 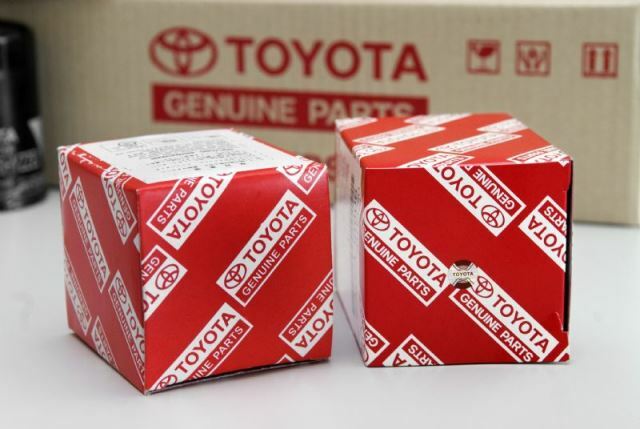 The Specials on the Toyota Hilux Single Cab and New Toyota Yaris were for a limited time only thus attracting a lot of attention for good reason, especially the New Toyota Yaris for the Millennials. 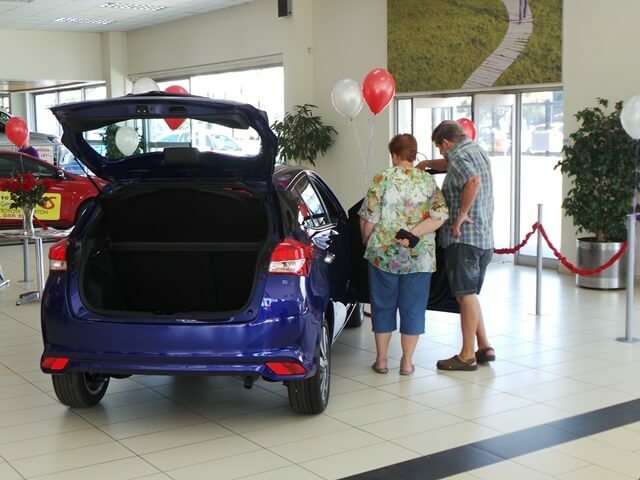 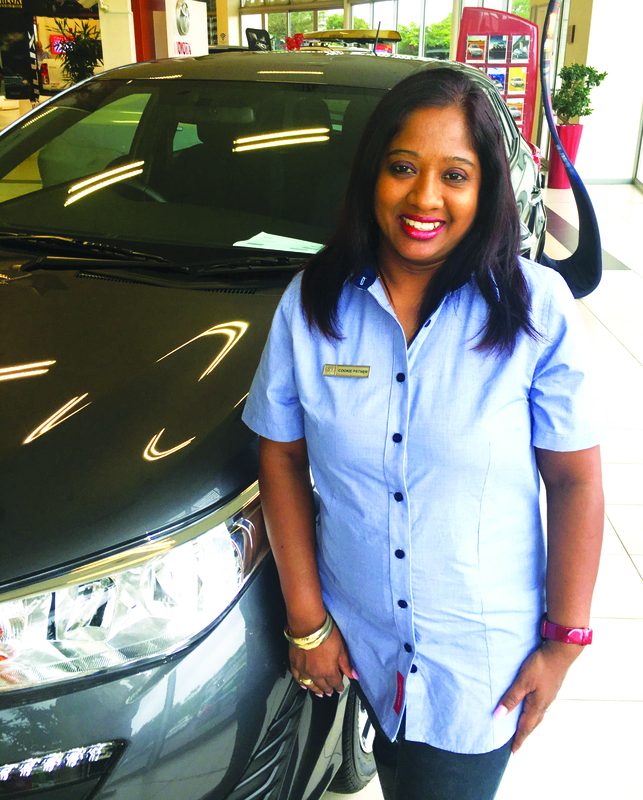 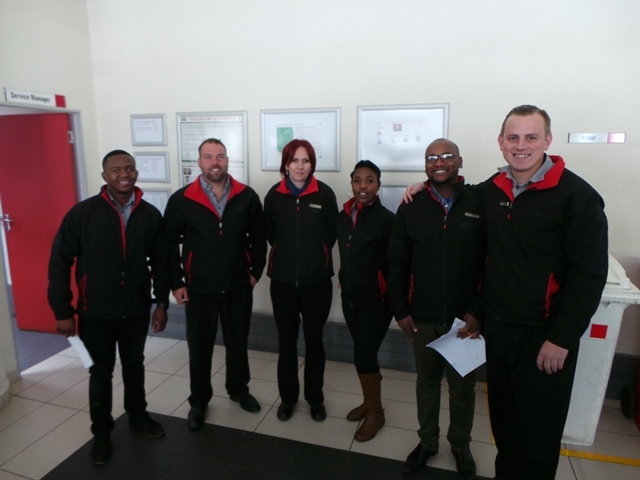 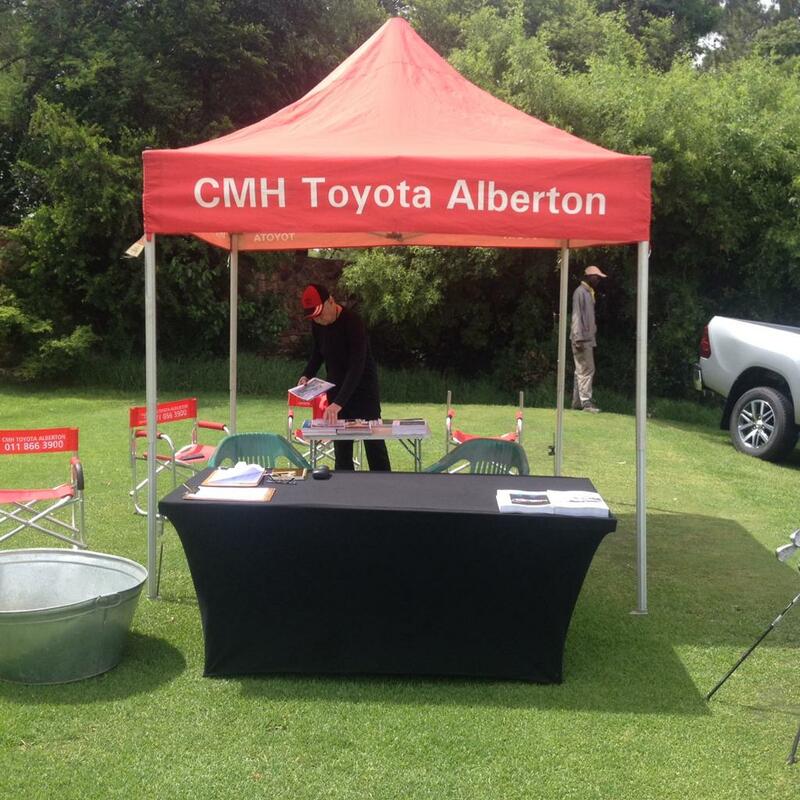 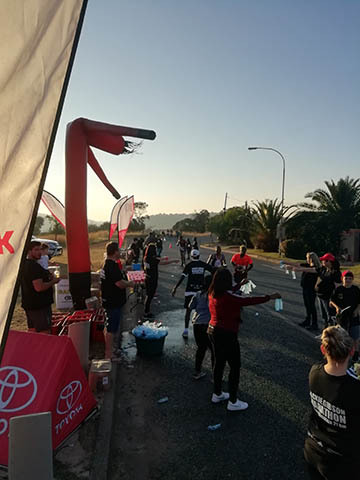 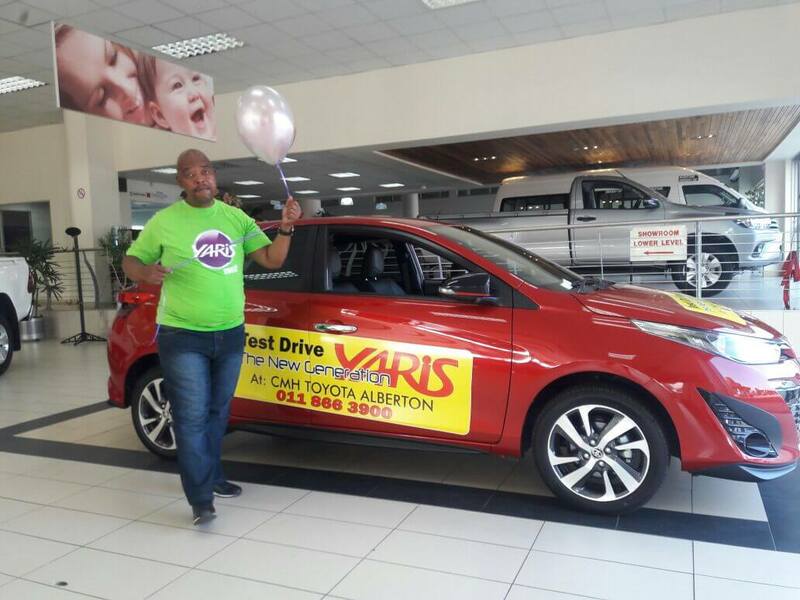 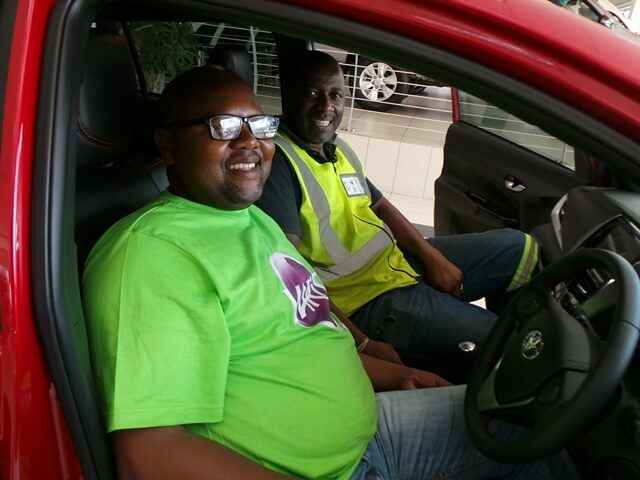 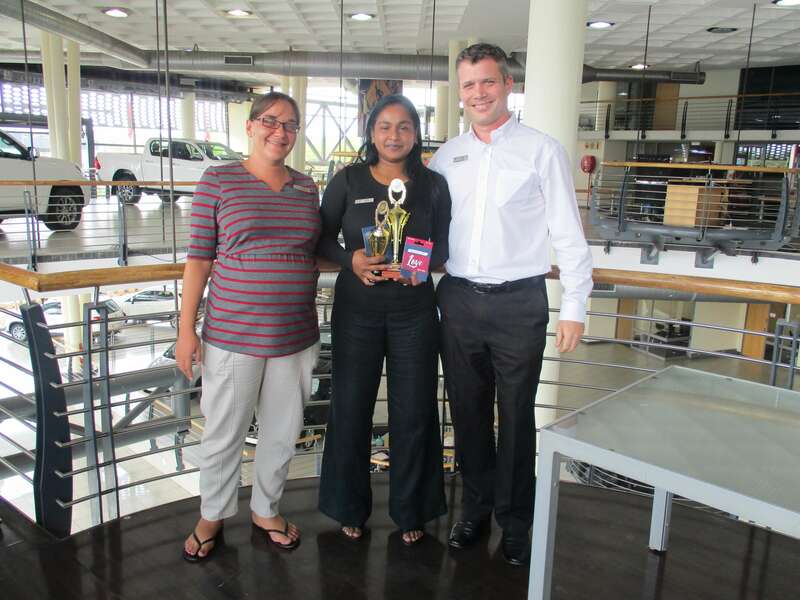 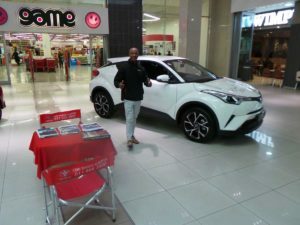 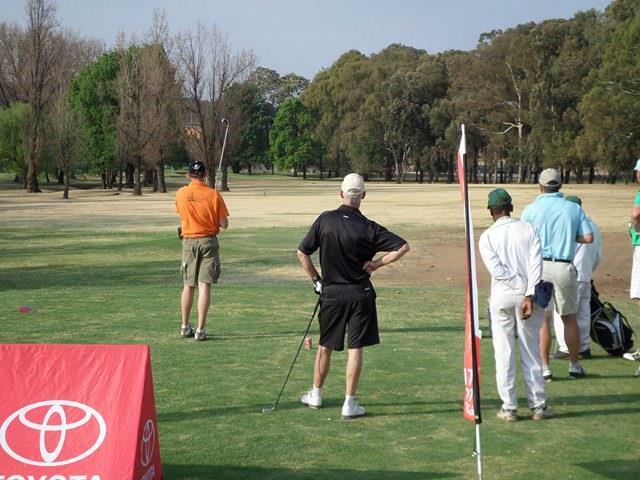 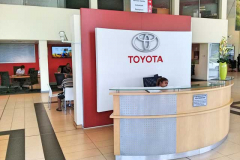 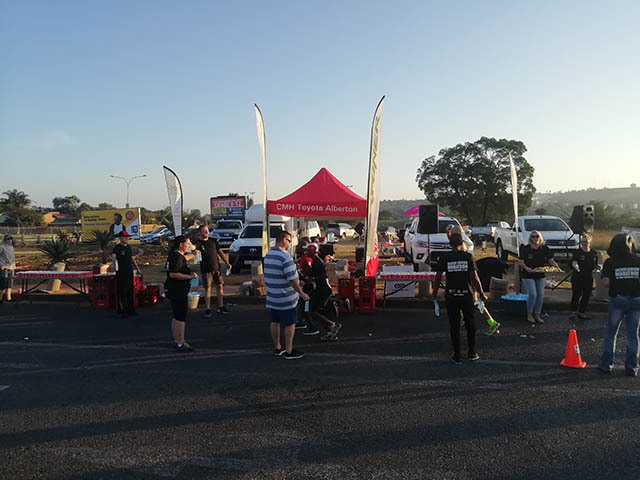 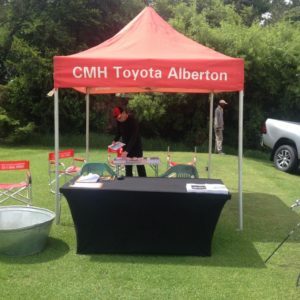 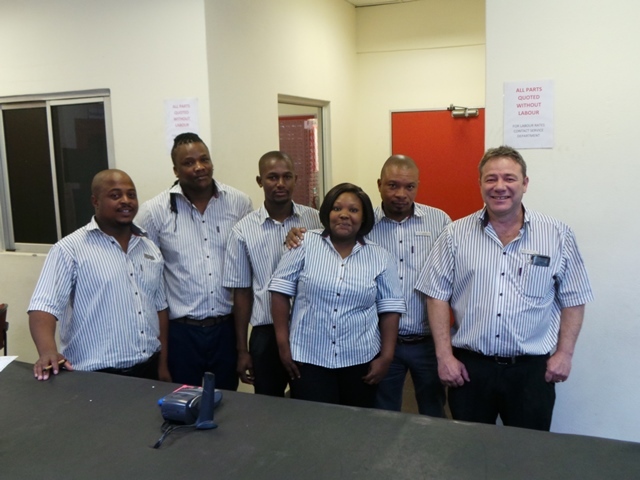 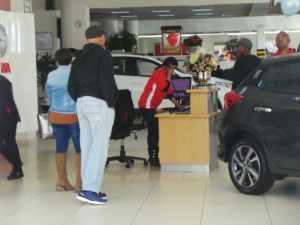 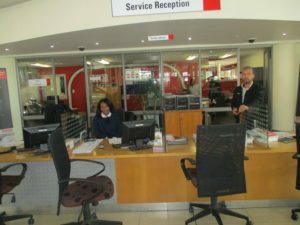 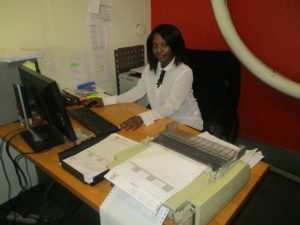 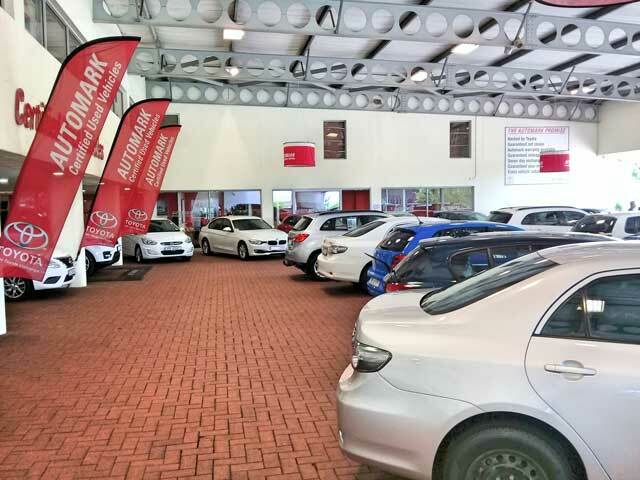 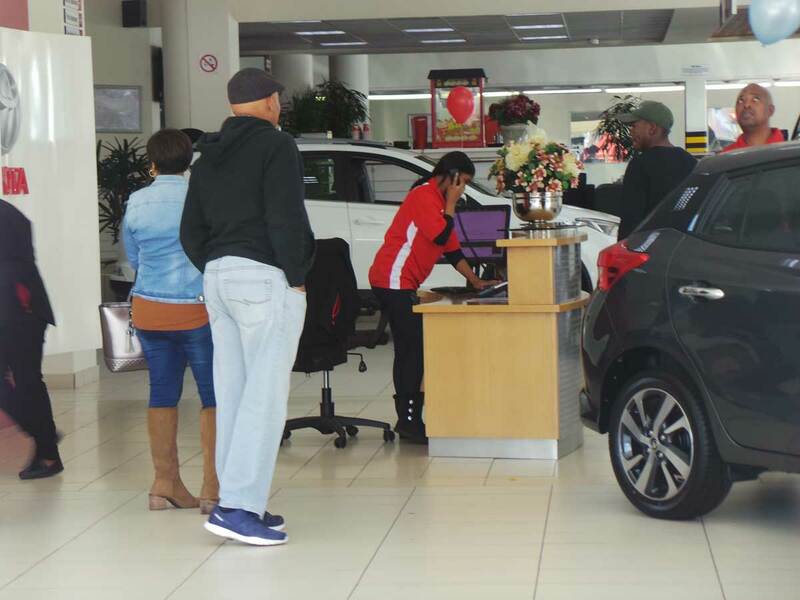 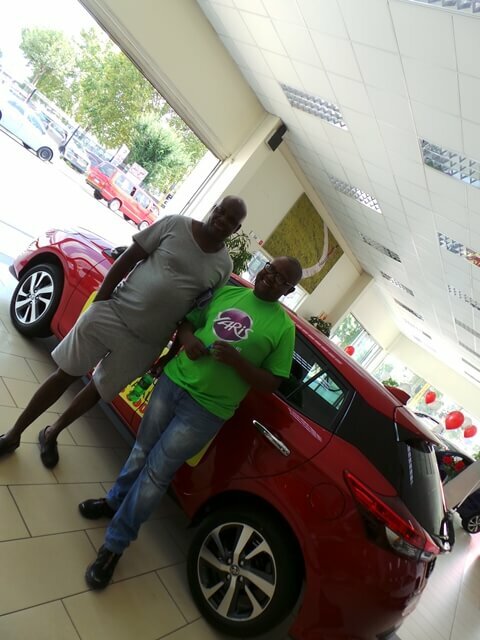 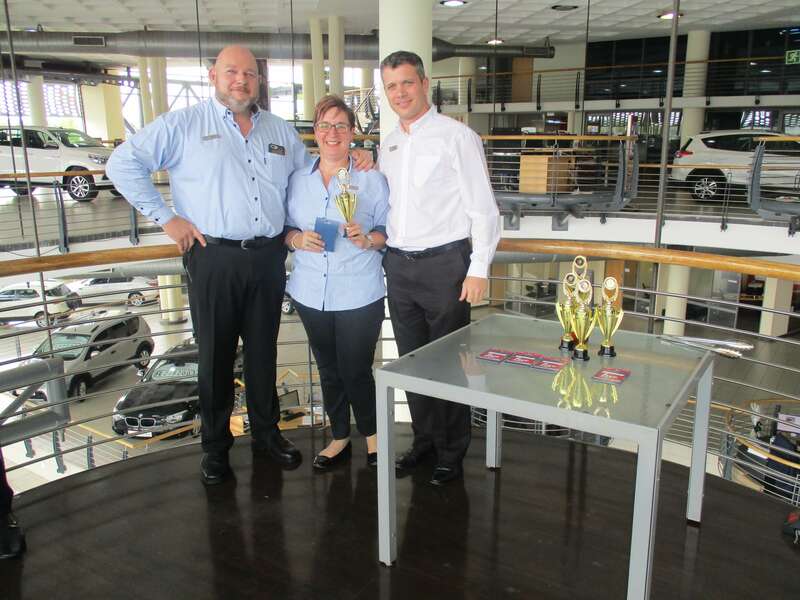 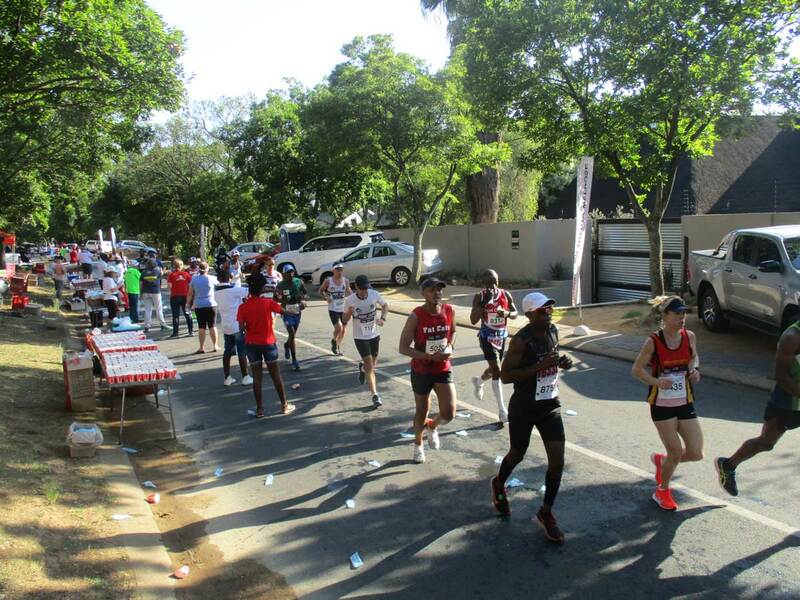 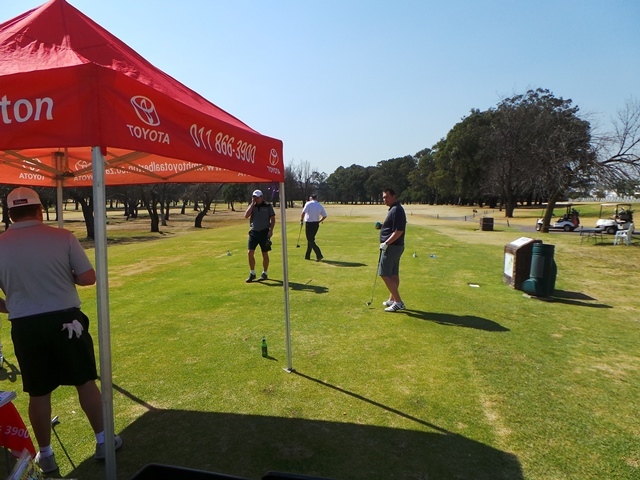 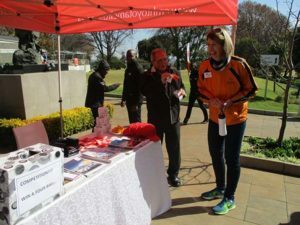 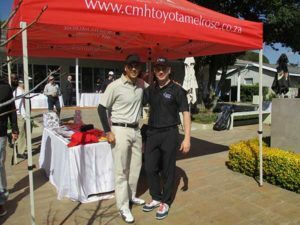 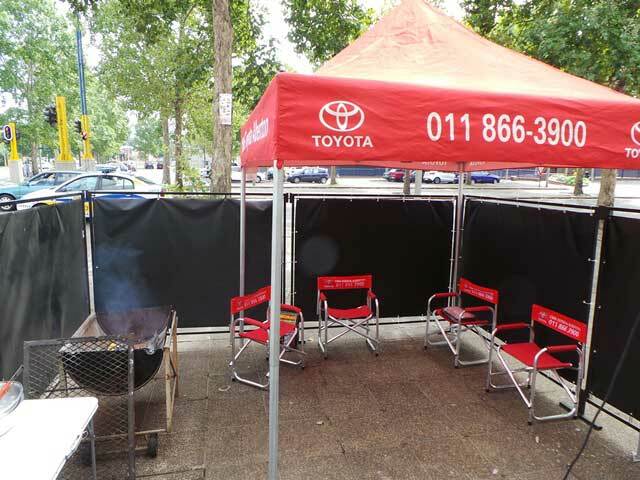 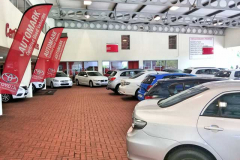 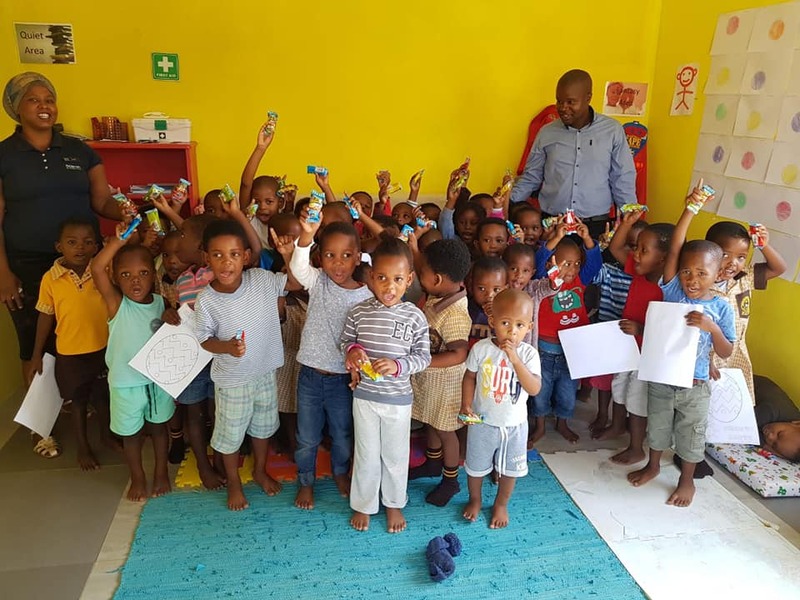 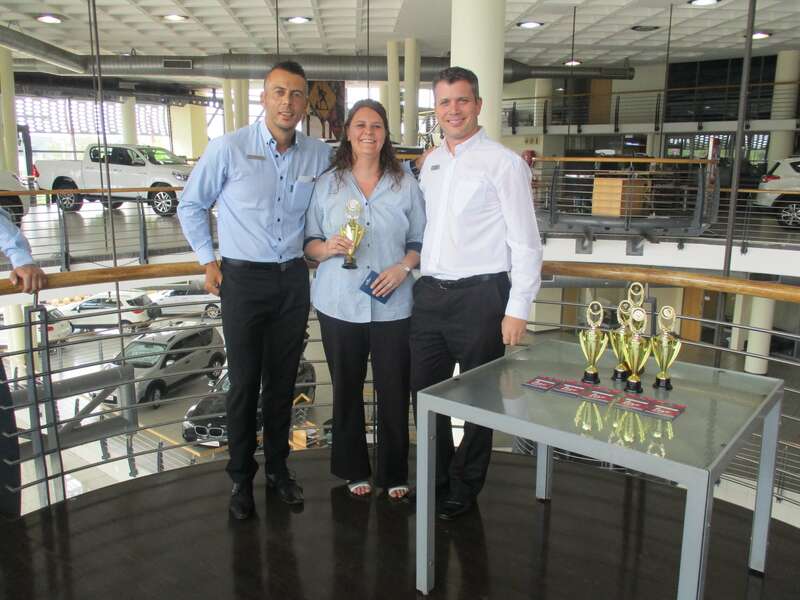 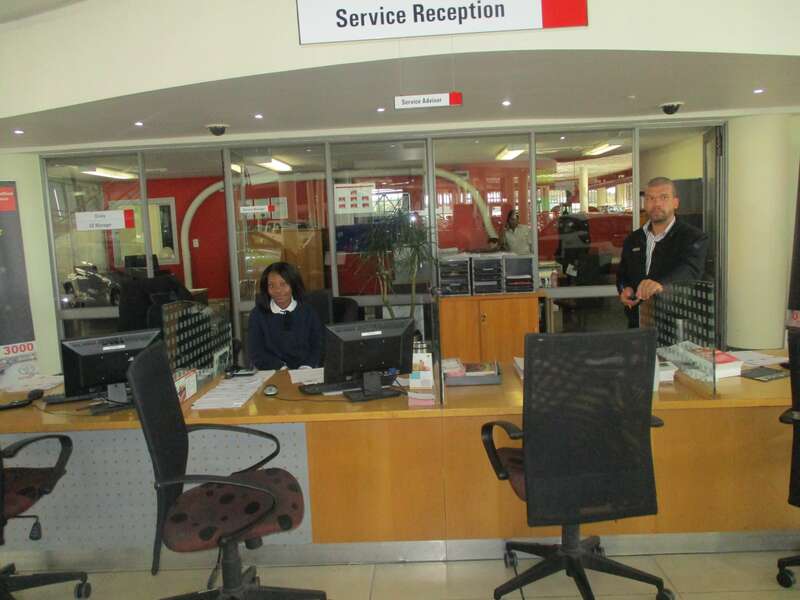 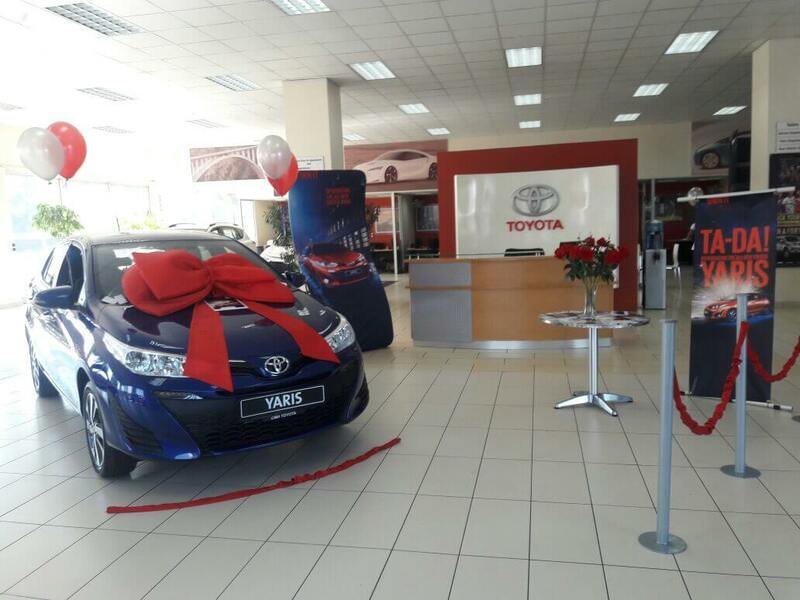 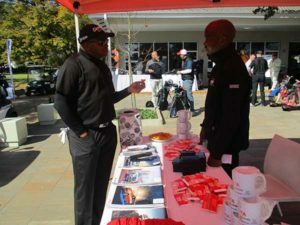 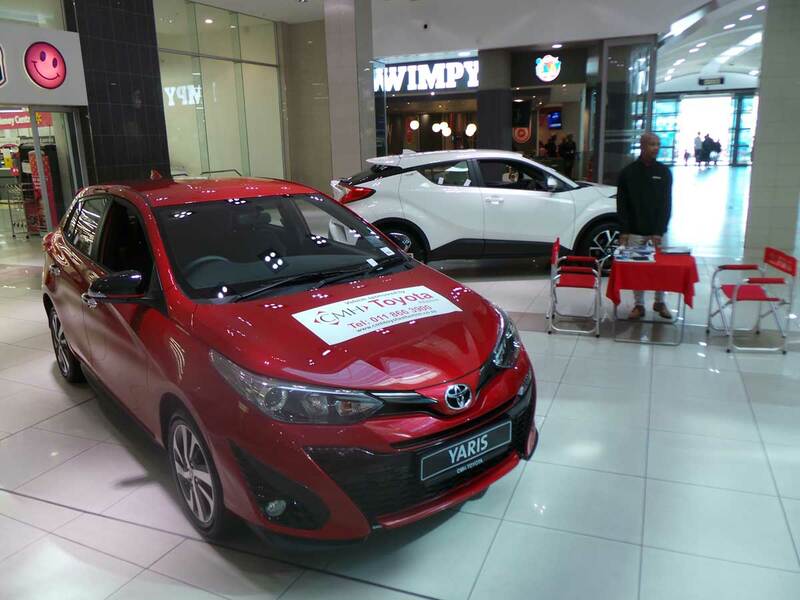 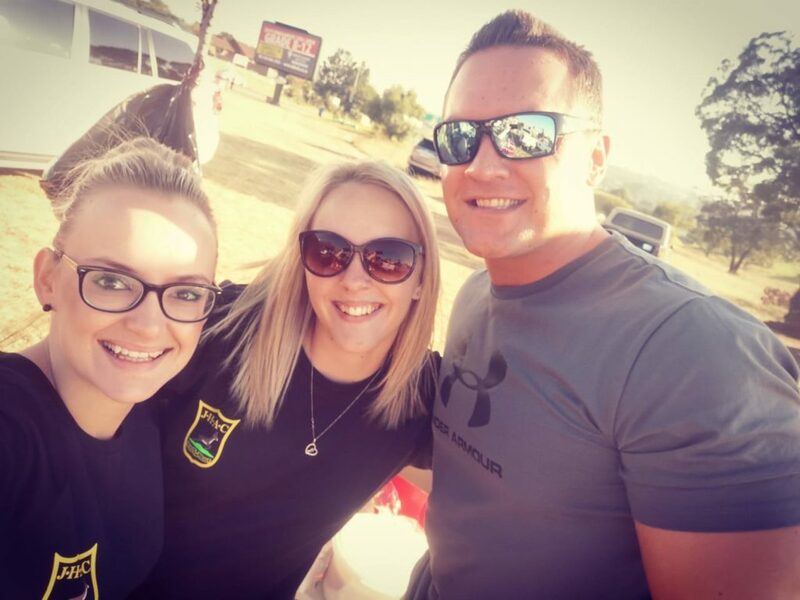 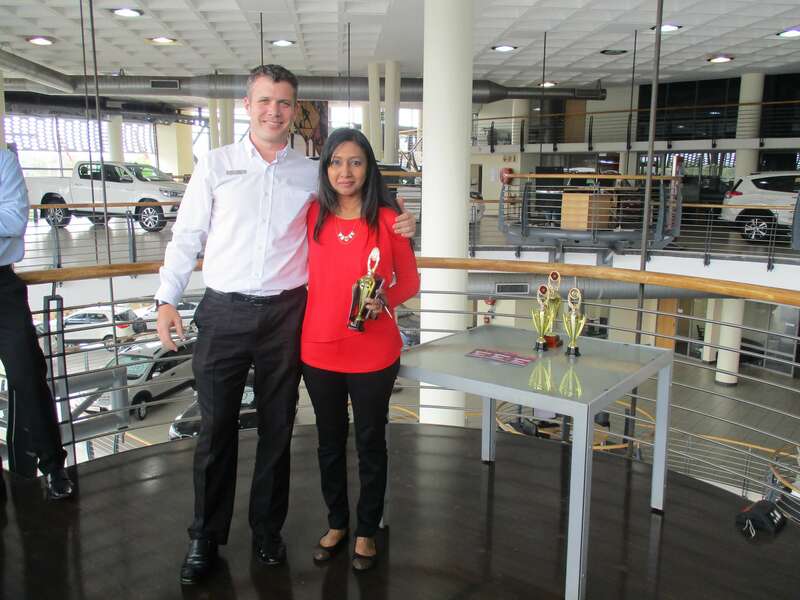 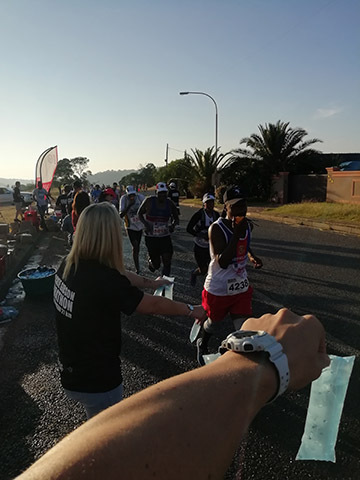 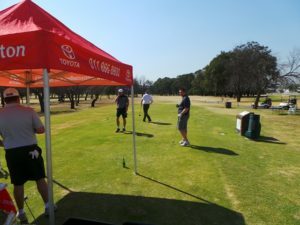 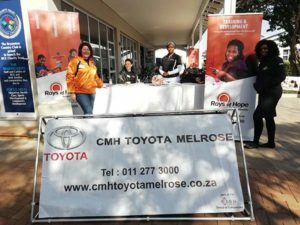 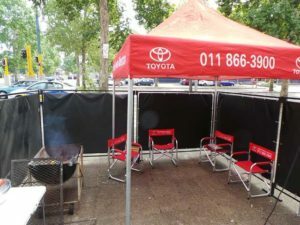 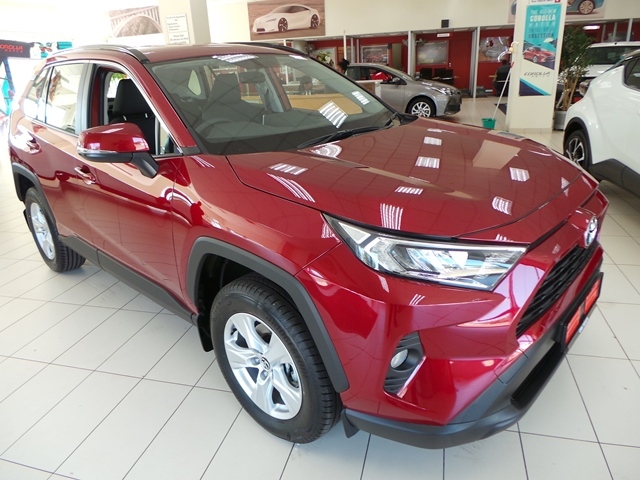 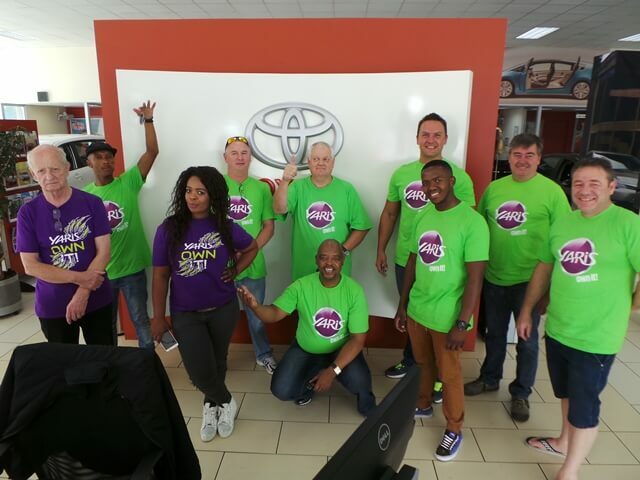 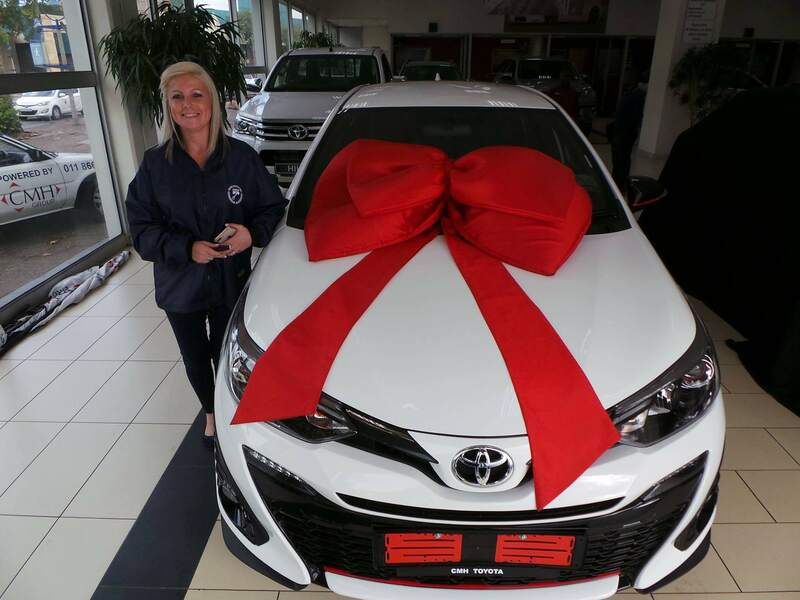 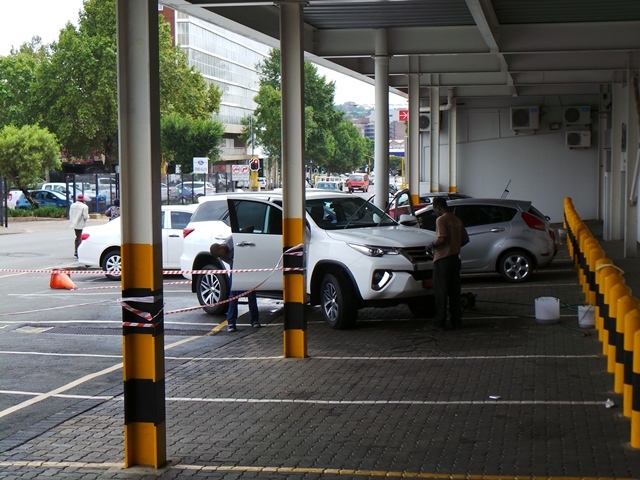 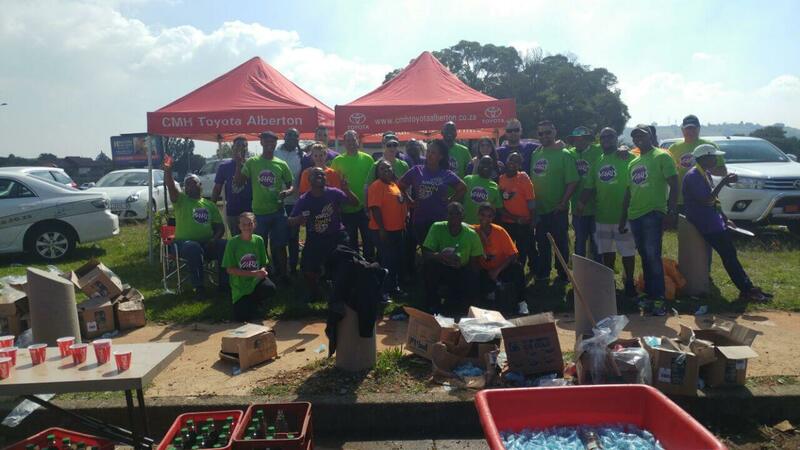 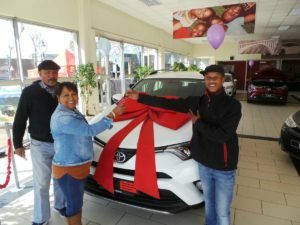 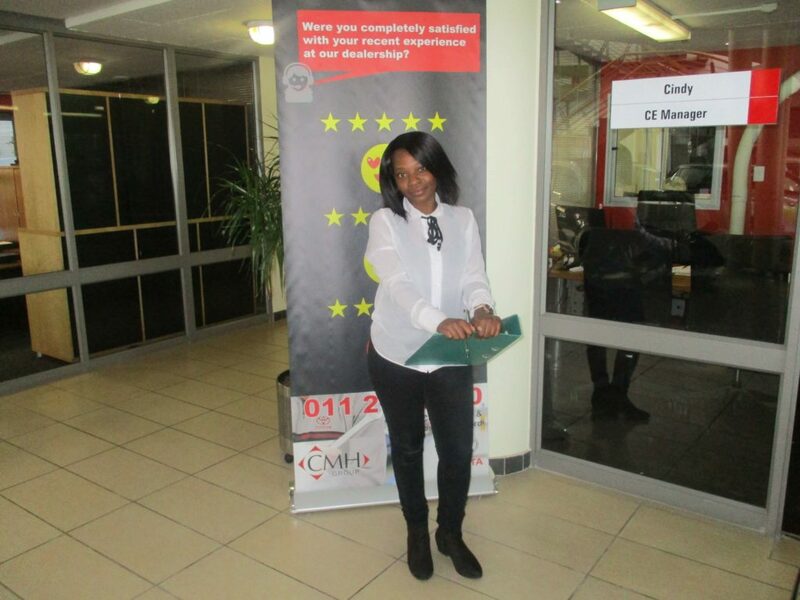 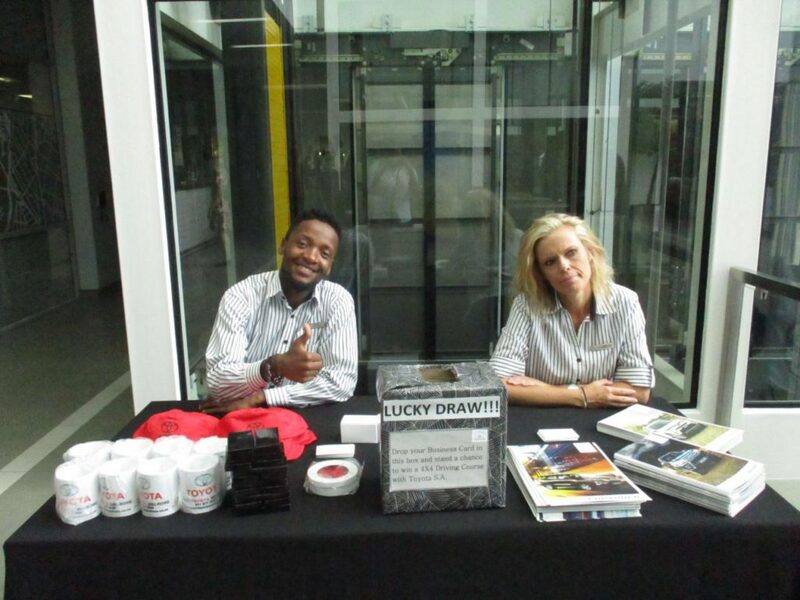 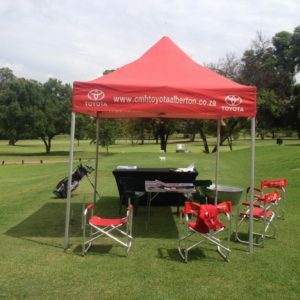 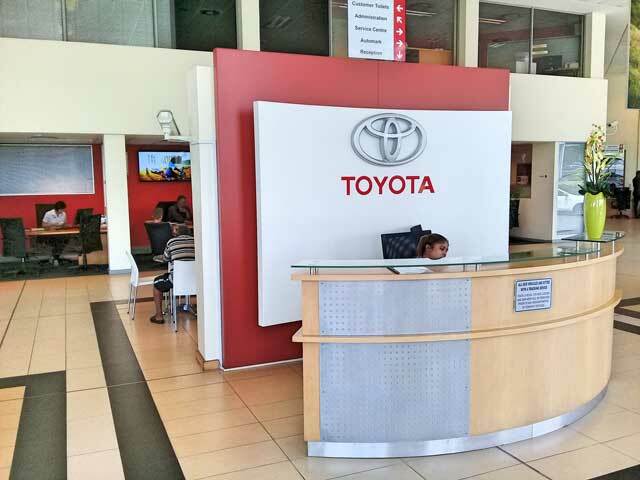 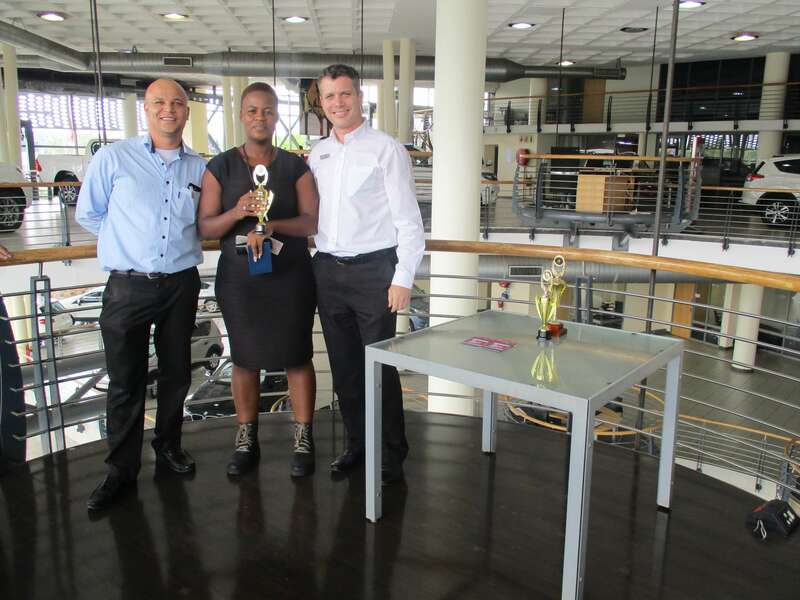 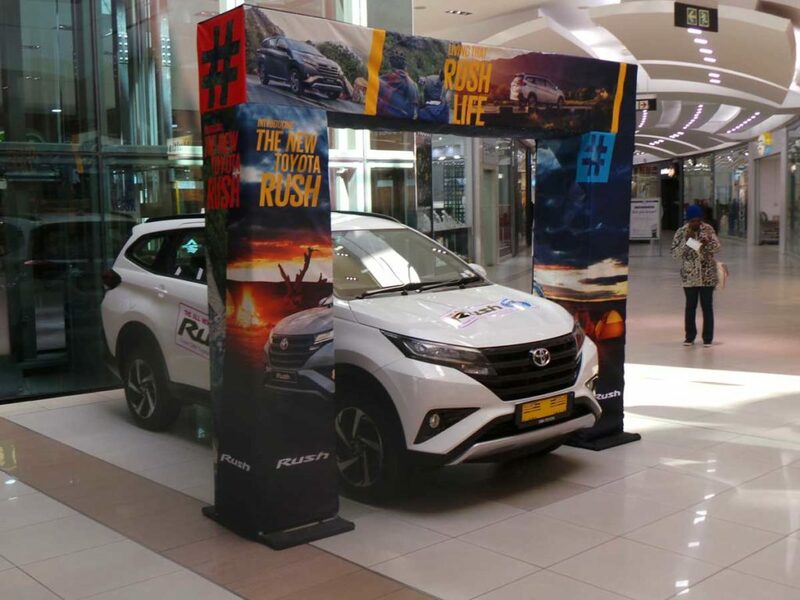 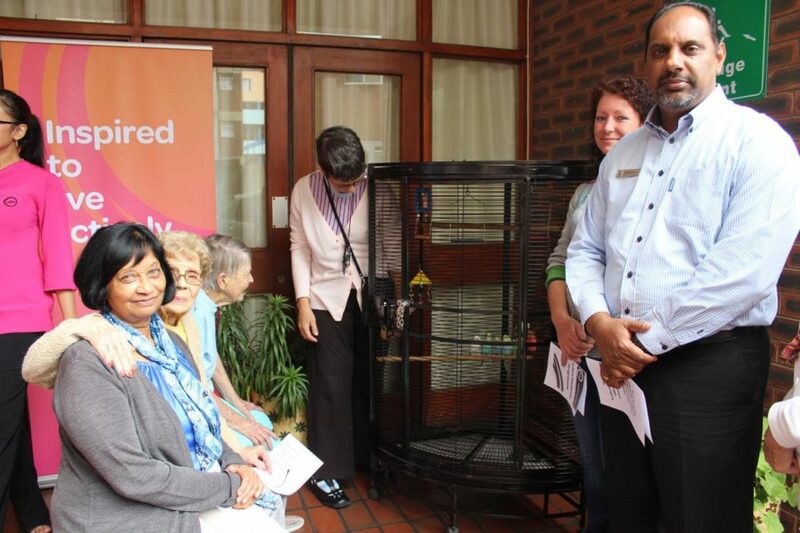 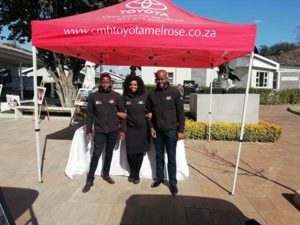 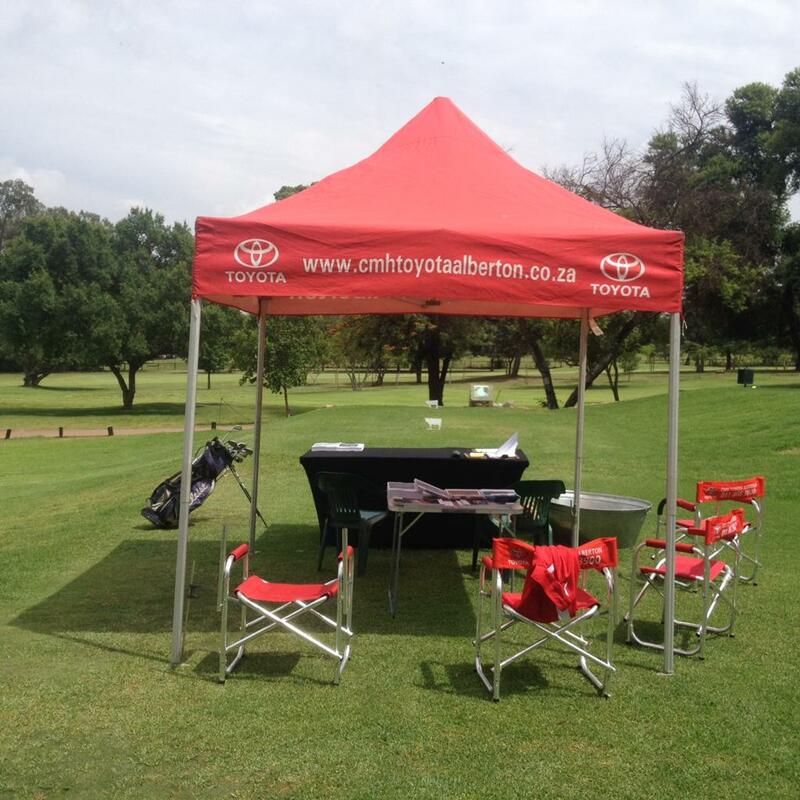 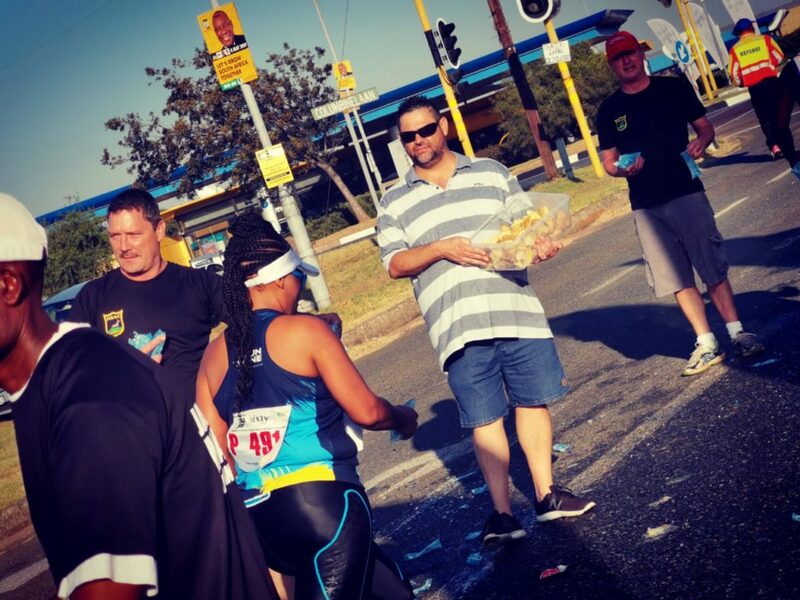 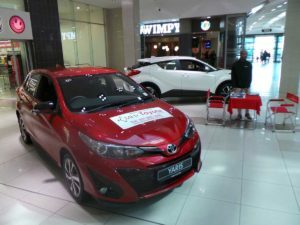 CMH Toyota Alberton always has fun on their special event days, making sure customers are entertained and assisted by the sales executives as soon as they enter the Dealership.